Part 1 of our HCM Lifecycle series; in order to keep up with the 5 generations working side by side in the workplace, companies are going to need an easy to use, all inclusive HCM platform to grow and adapt to HCM trends. 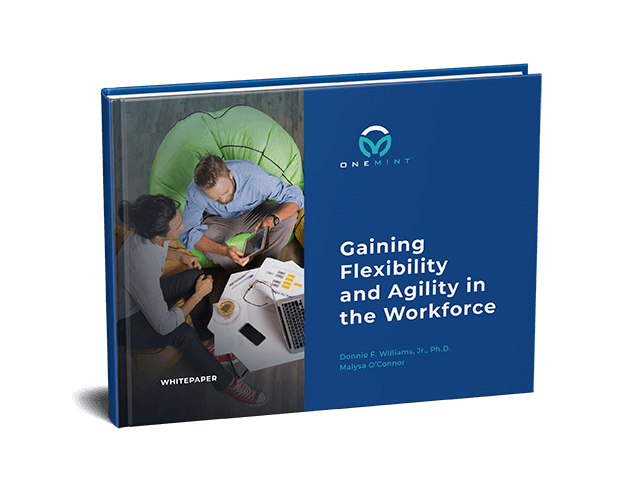 Check out how you can keep up in an evolving workforce. Part 2 of our HCM Lifecycle series; developing the introduction next generation of leaders is the greatest challenge facing business today. Check out how you can recruit and hire to successfully lead your business into the future. Part 3 of our HCM Lifecycle series; a multi-generational workforce presents a unique challenge for managers who understand how work styles and perspectives can vary. 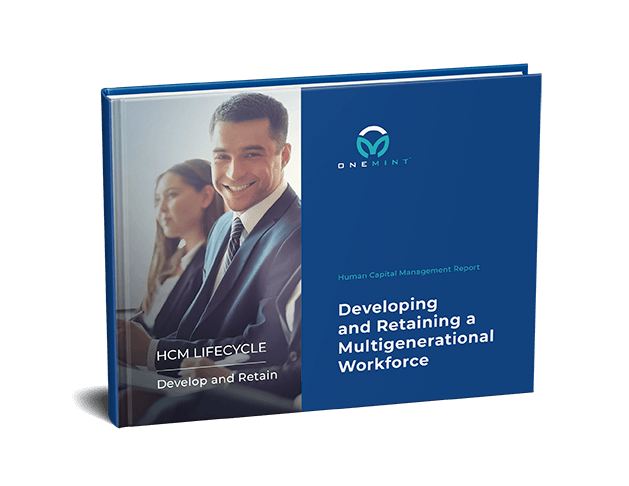 Check out how an HCM system can help you meet the challenges of managing multiple generations in the workplace. 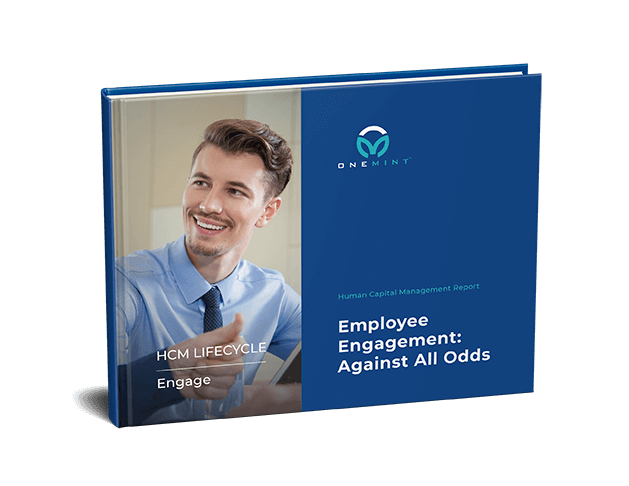 Part 4 of our HCM Lifecycle series; an engaged employee — you know one when you see one! 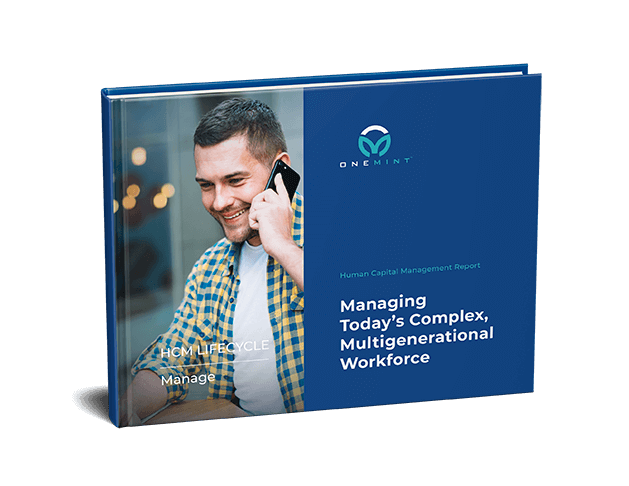 Check out how you can engage employees and keep them engaged across multi-generations and the ever changing HCM landscape. Part 6 of our HCM Lifecycle series; give your frontline managers the tools, training, and latitude they need to hold on to your best hourly workers with streamlined HCM processes. Part 7 and the final installment of our HCM Lifecycle series; using an HCM system to offboard your multigeneral employees can save you time, money and leave you and your employee parting ways on positive terms! 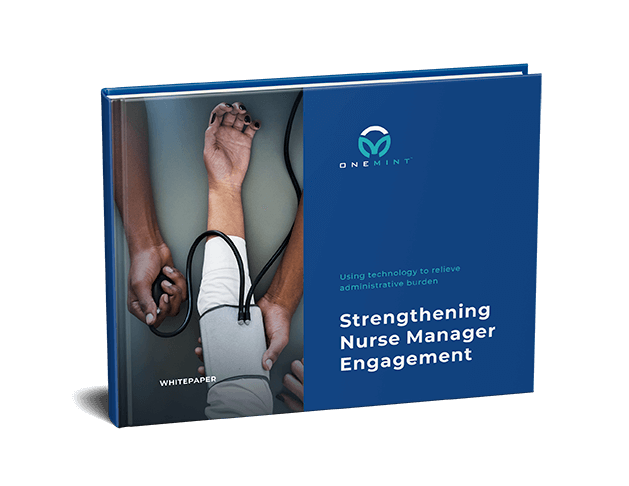 The last thing healthcare providers need when trying to provide the best patient care is a disengaged workforce. 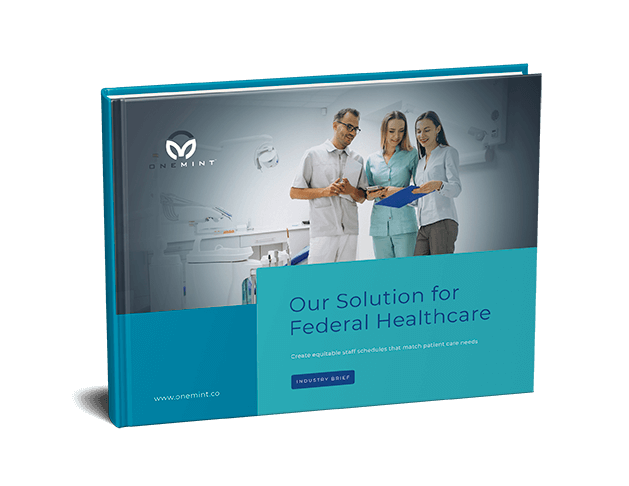 Check out how you can better support your staff and meet patient demand. 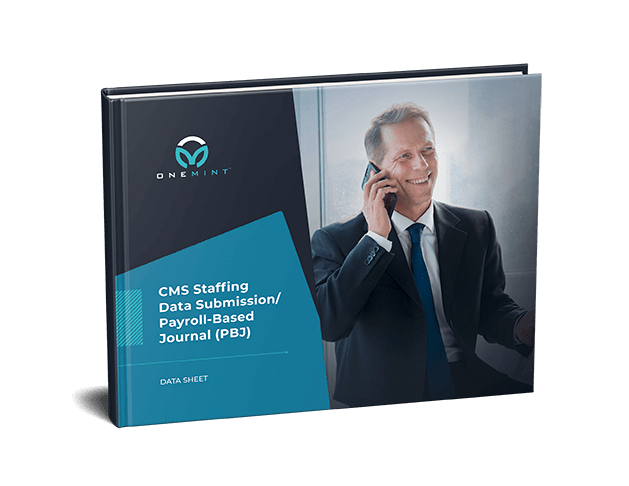 A single-source platform for payroll and time and attendance can impact day-to-day operations and free up time for the admin team to focus on higher level activities. 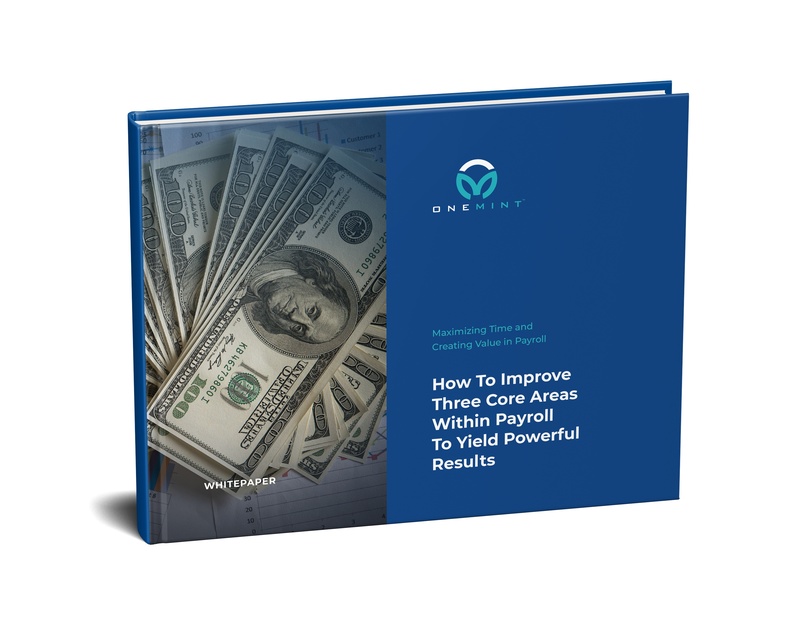 Learn the three core payroll areas where your admin team can yield powerful results in your company. When your organization launches a technology project, you’re aiming for a successful outcome. But how exactly do you define success? Review the research conducted by the Technology Services Industry Association about change management and how you can measure the success of implementation. 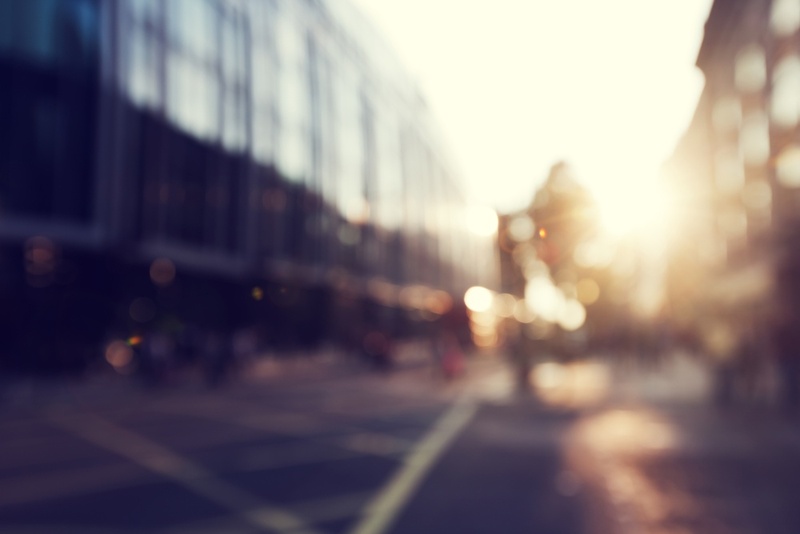 Transparency is a major player when looking at time-related fraud and abuse. Having access to data on timekeeping to cut costs and provide accountability is key. Check out how our HCM system provides the tools you need to provide that transparency, from time fraud to pensions. In retail, finding the balance between happy employee and happy customer can be hard. Check out how retailers can deliver employee satisfaction along with outstanding customer service using a Human Capital Management System. A bad hire can be more than a headache. It can affect all aspects of your business- from morale to your bottomline. 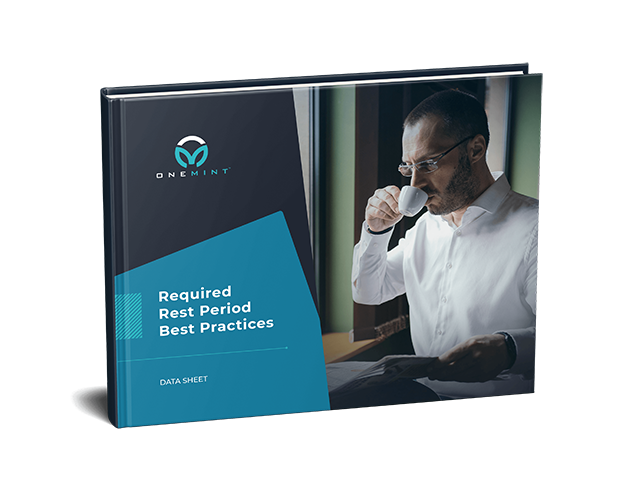 Check out how you can arm your hiring managers with all they need to recruit the right person and avoid the costly mistake of a bad hire. 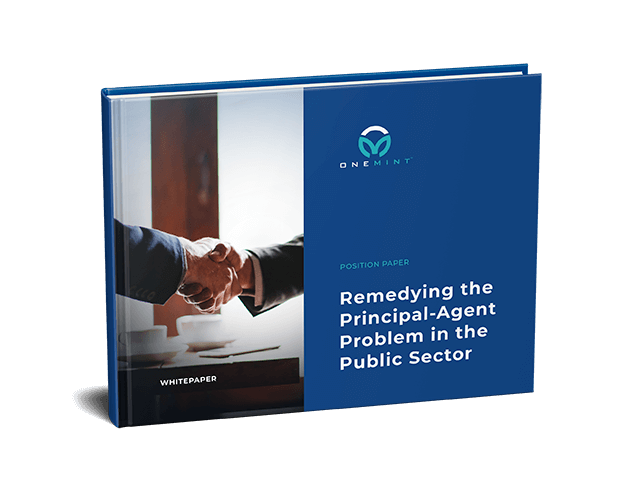 Spend less time on administrative processes and more time on academics and programs. 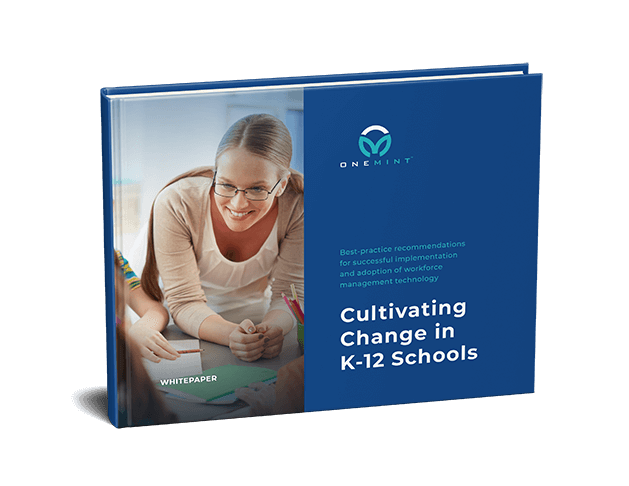 Check out these best-practice recommendations for successful implementation and adoption of workforce management technology in education. Using a Human Capital Management system isn’t just about streamlining process with technology. 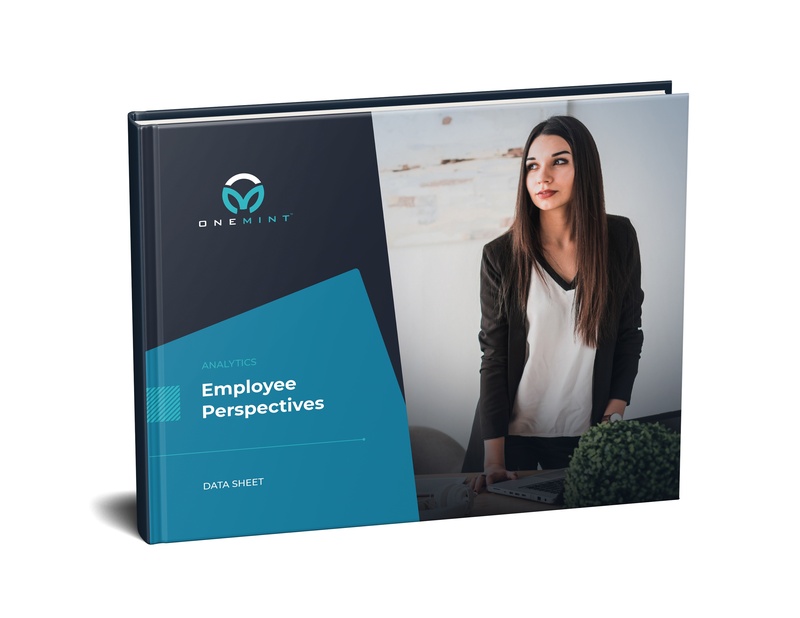 Check out how complete automation and real-time visibility can help companies manage and engage their entire workforce — both salaried and hourly employees — from pre-hire to retire. 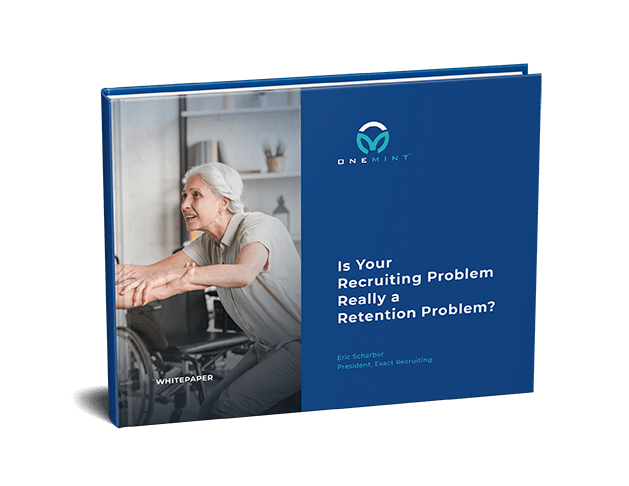 Is Your Home Care Recruiting Problem Really a Retention Problem? Burnout and company culture are just two of the many reasons healthcare companies struggle to retain employees. 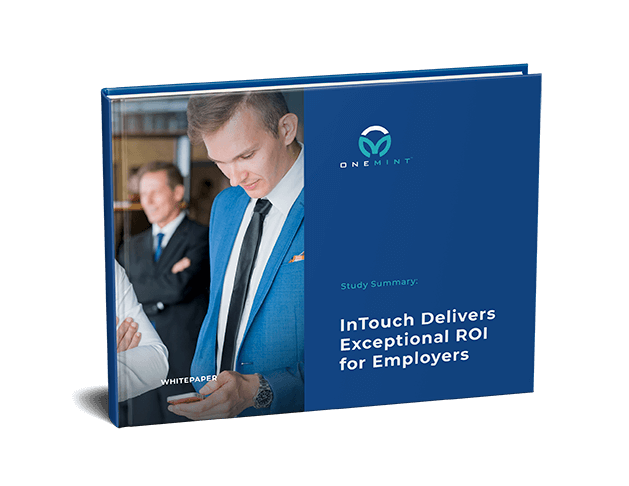 Check out how organizations that excel in retaining their employees generally have better financial results and overall performance. Simply put, time clocks have not caught up with times… until now. 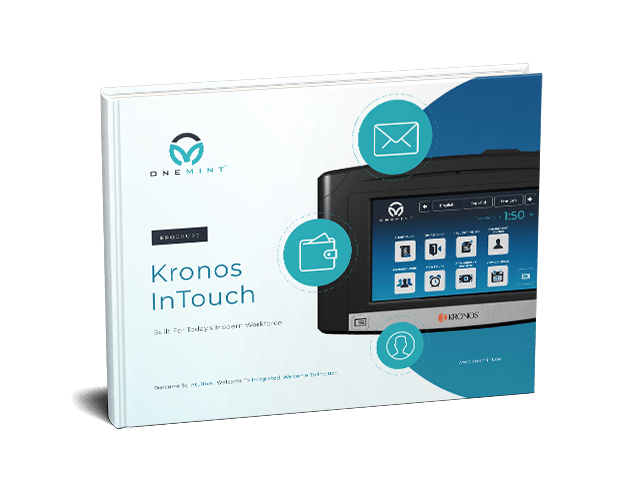 Check out how the ONEMINT InTouch advance time technology can help you save money… and you guessed it, time! Old school payroll systems are out and new technologies are in! 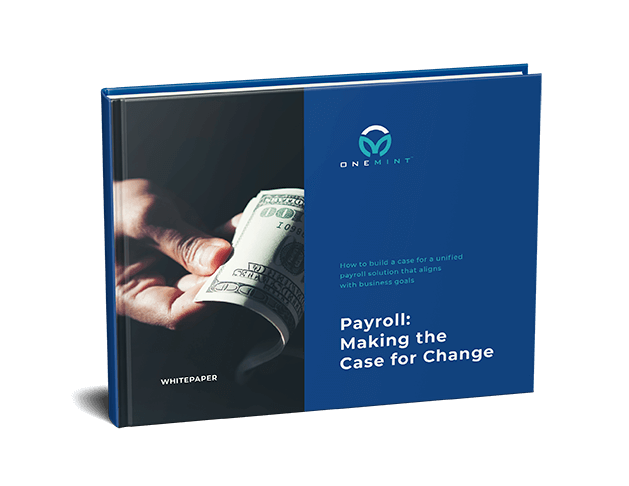 Learn more about how you can make a case for change in your payroll processing approach! 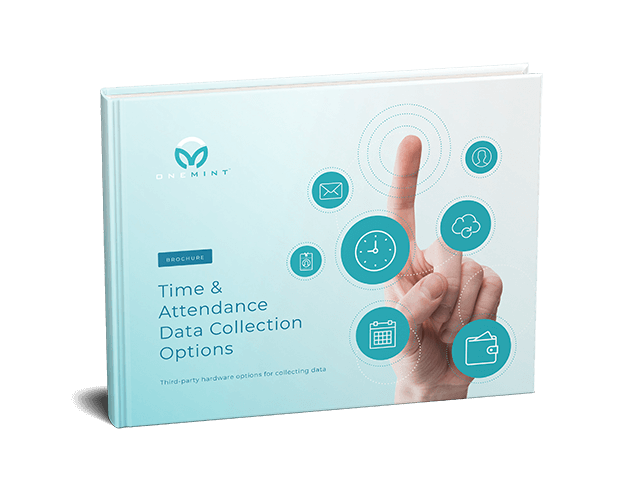 With all the technological advances of the last few years, it’s no longer sufficient for time and attendance solutions to simply automate data collection and track hours worked. A single, unified platform allows users to work with the same interface and intuitive workflows across all applications. Burnout is a big problem in the healthcare industry. 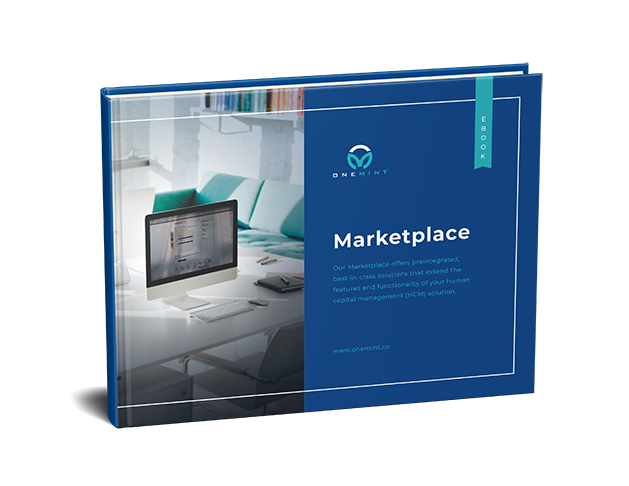 The long hours, administrative work and the lack of modern, easy to use tools can cost you. 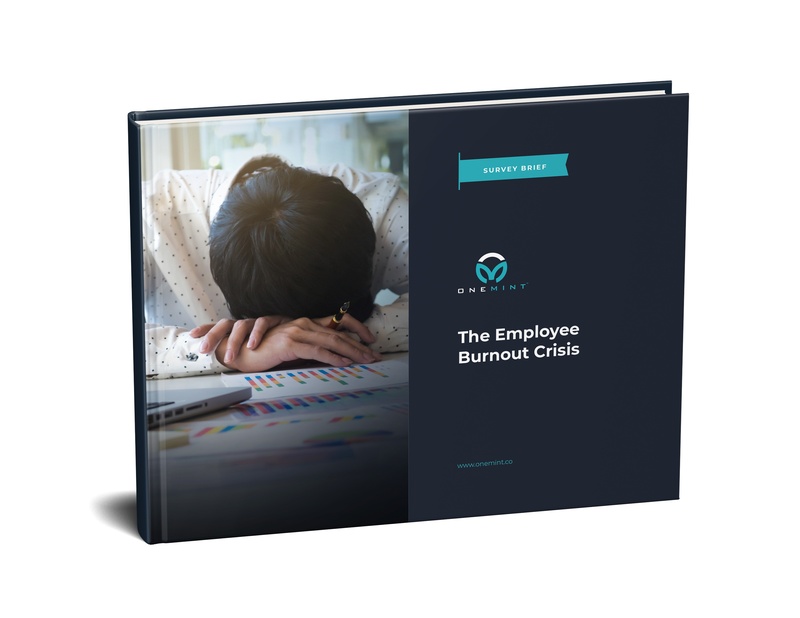 Learn how a unified human capital management system can help you reduce burnout and the time it takes to complete administrative duties. Retail employees are notorious for absences, which means managers have to scramble to cover shifts or have enough on staff during busy times of the year. 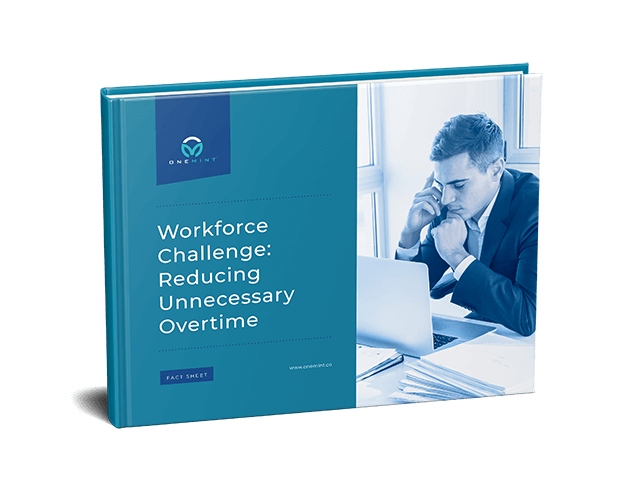 You can decrease unwanted overtime and increase scheduling efficiency by implementing automated time and attendance policies and procedures. 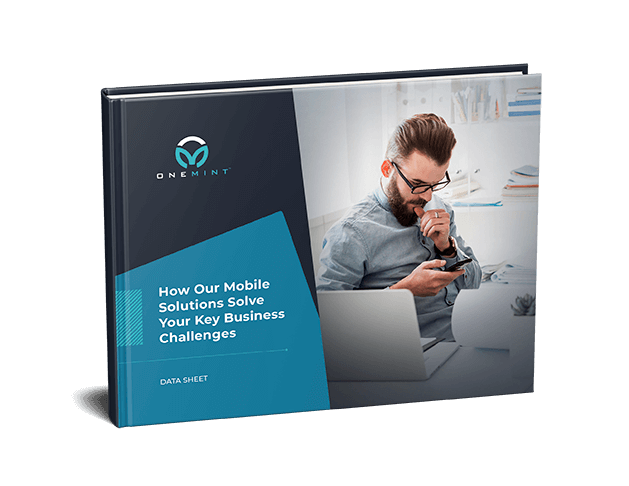 Offering employees easy to use, mobile technologies is a great way to improve morale and engagement. 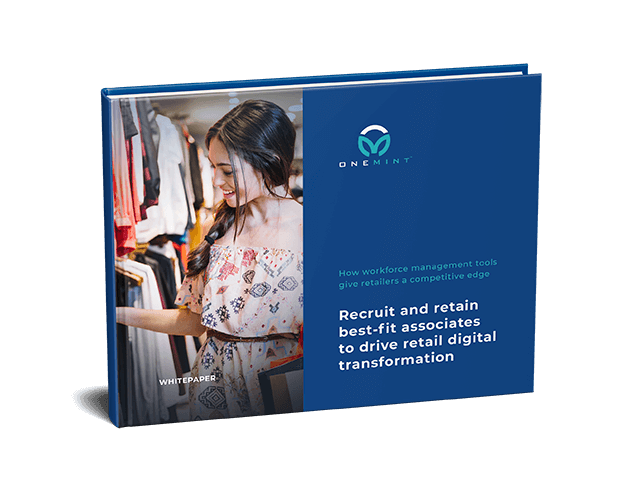 Check out how workforce management tools give employees a competitive edge the fast-paced world of retail. Robots are taking over! Or are they? With all the new and exciting technology in the world of finance, it may seem like automation is replacing human interaction. Check out how these technologies are enhancing the human experience and what you stand to gain for business process automation. 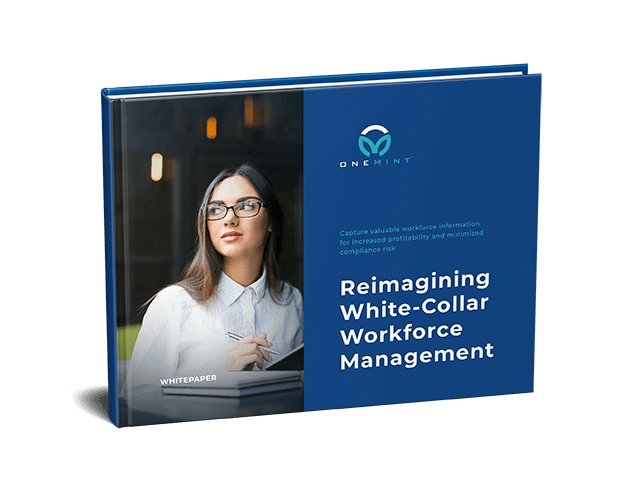 Workforce management focus is often centered around blue collar employees, but there is major risk in now shifting that focus to some of your white collar workforce. 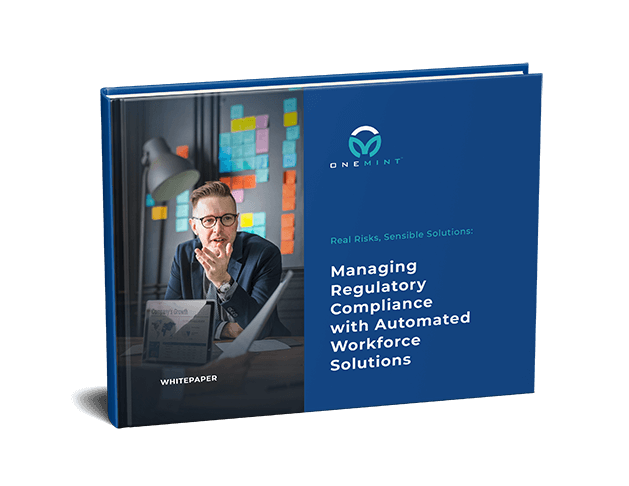 Learn more about how workforce management systems can increased profitability and minimized compliance risk. 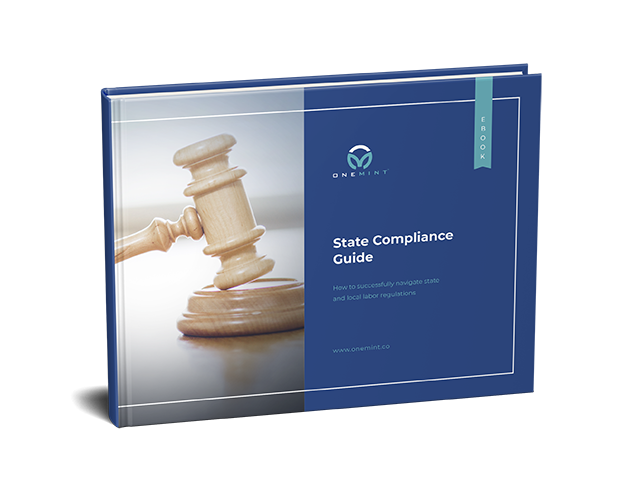 Struggling to stay compliant with state and federal labor laws? 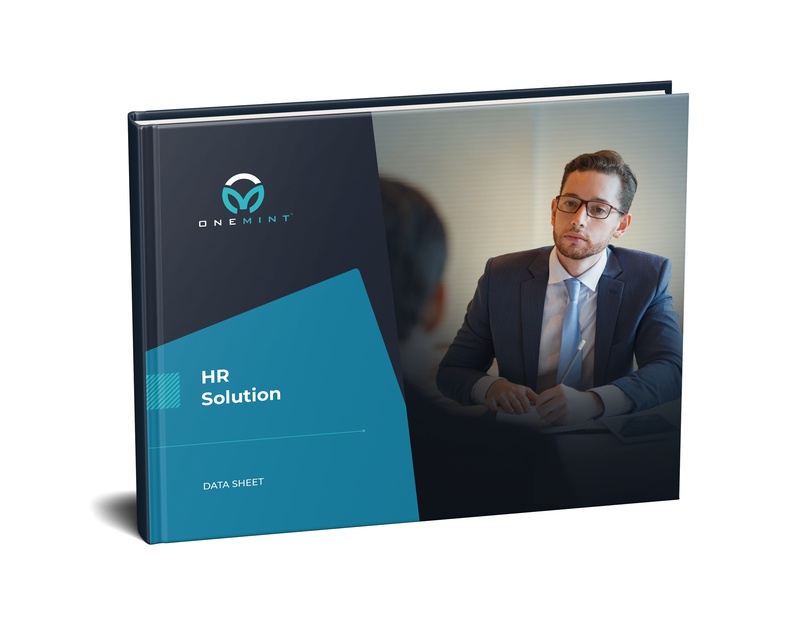 Turn to a cloud-based, unified human resources, payroll, and time and attendance solution to keep up with and stay ahead of regulatory twists and turns. 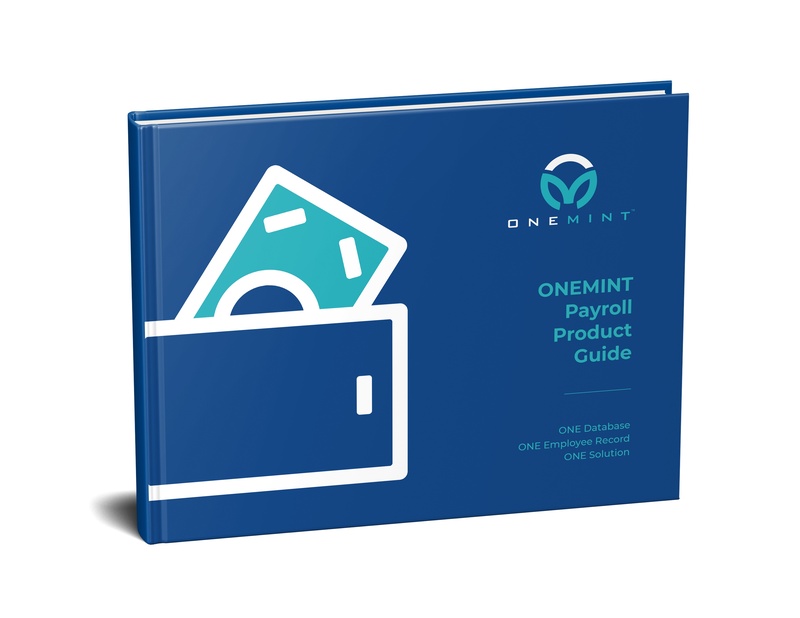 Grab a free product guide, and learn about ONEMINT. 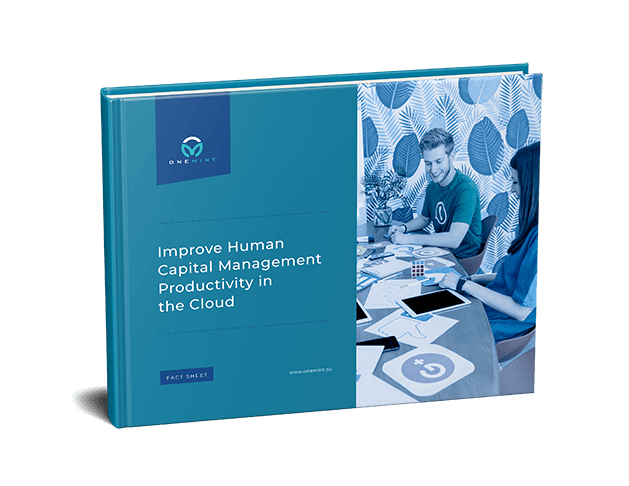 Our full suite product combines the power of workforce management and human capital management (HCM) in one unified cloud platform. From hire to retire, manage your entire company whether they are salaried, hourly, full-time, or part-time. Grab your free product guide for the food service industry. 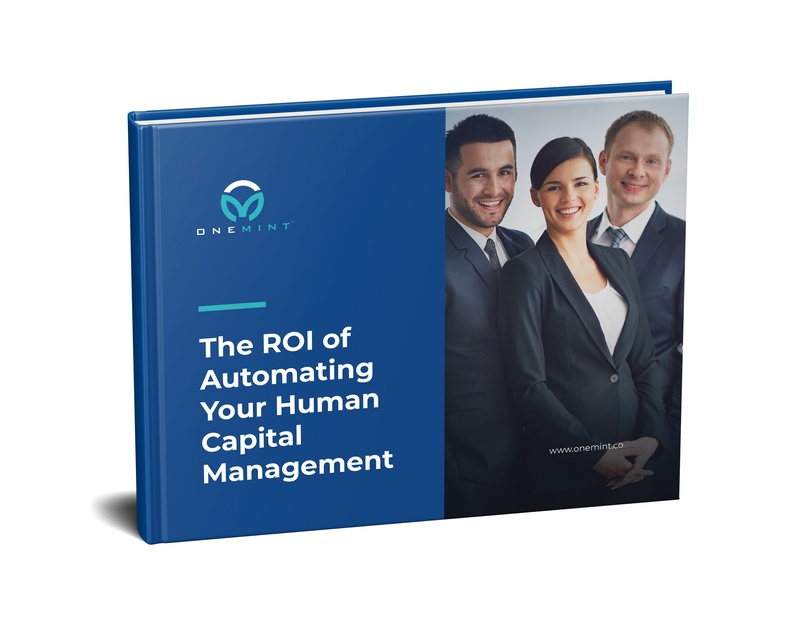 Our human capital management solution helps you attract and retain best-fit employees, create schedules aligned with customer demand and labor budgets, increase employee productivity, and more. 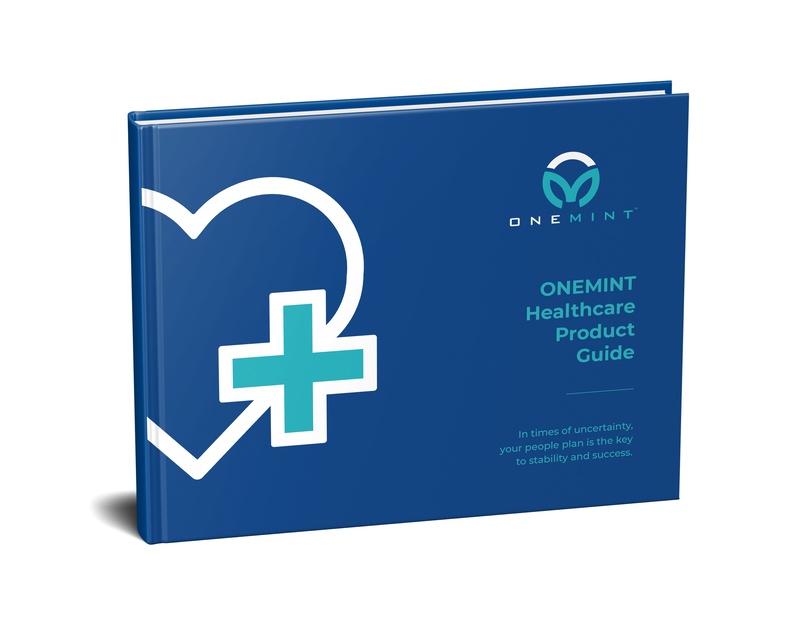 Grab your free product guide and learn about ONEMINT for the healthcare industry. Our human capital management product provides you with the right tools to meet the unique needs of employees and patients. You'll be in a better position to create engagement, compliant culture, and more. 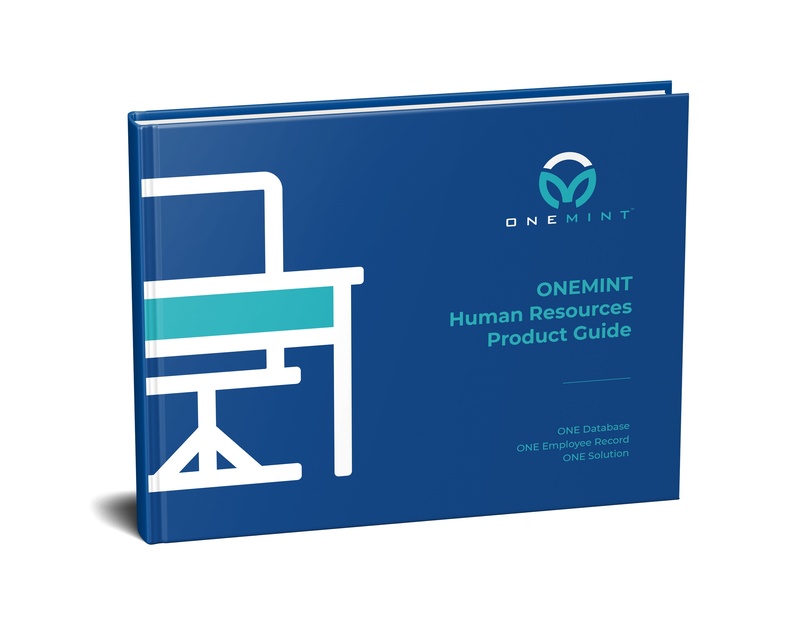 Grab a free product guide and learn about ONEMINT's Human Resources (HR). Our products allows your team to source, hire, nurture, manage, and grow employees to obtain a high performing workforce. 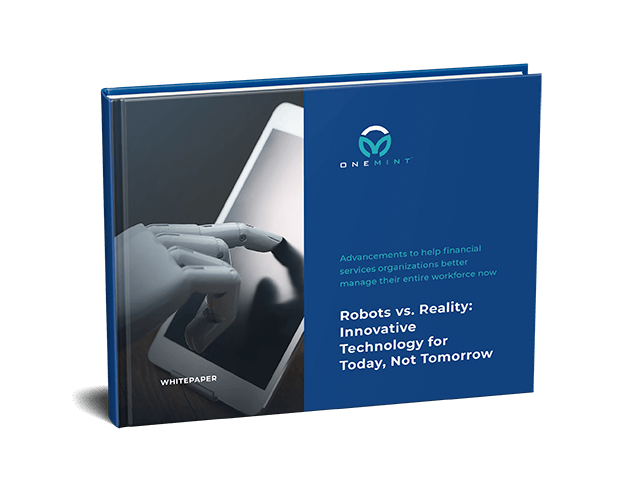 You will find more time supporting your company's strategic goals with ONEMINT's HR automation. Looking to deliver the perfect paycheck, every time? Experience a unique, robust web-based application that simplifies your entire payroll process while ensuring accuracy and providing in-depth reporting options. Grab a free product guide and learn about ONEMINT's Time and Labor Solution. 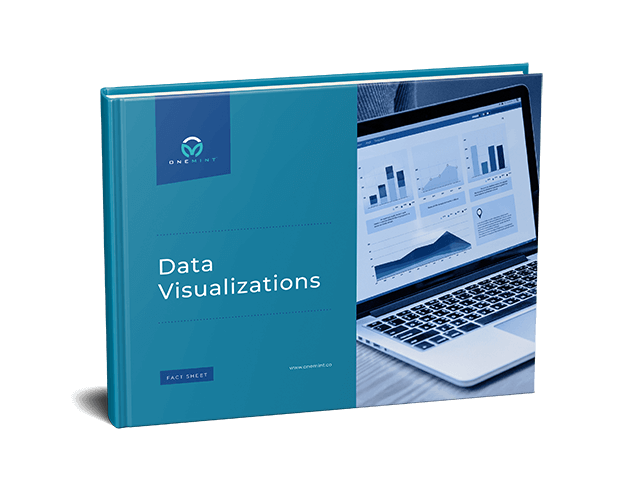 Our product gives you the data and tools you need when and where you need them. Streamline time tracking with automated collection of time and attendance information, and automate the conversion of work hours to pay. Reporting is the lifeblood of business. Being able to analyze data to make decisions, set goals and identify trends is vital to company success. 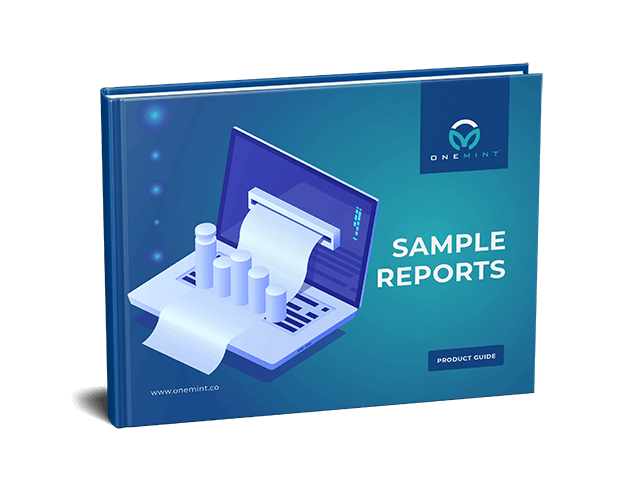 Take a look at some of the sample reports offered by ONEMINT. If you are an HR Manager, you,re so busy you hardly have time to interact and engage with your employees. What if we told you we have a solution? 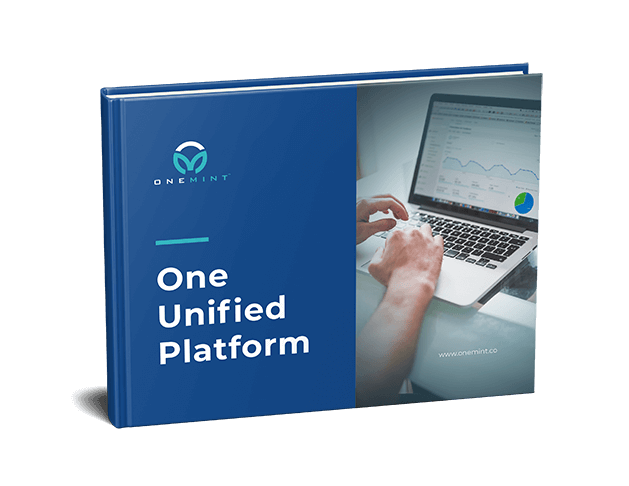 Check out this datasheet on how ONEMINT's unified system can consolidate and solve for your core HR functions. Finding, recruiting and tracking talent is a large undertaking. One that requires skills and an easy-to-use recruiting tool. Check out how our HCM effectively helps you source, track, and evaluate talent to build an engaged, high quality workforce. Staffing and scheduling are just part of the business, but are you spending more time on making sure you have the right person in the right place at the right time then you are on your product and services? 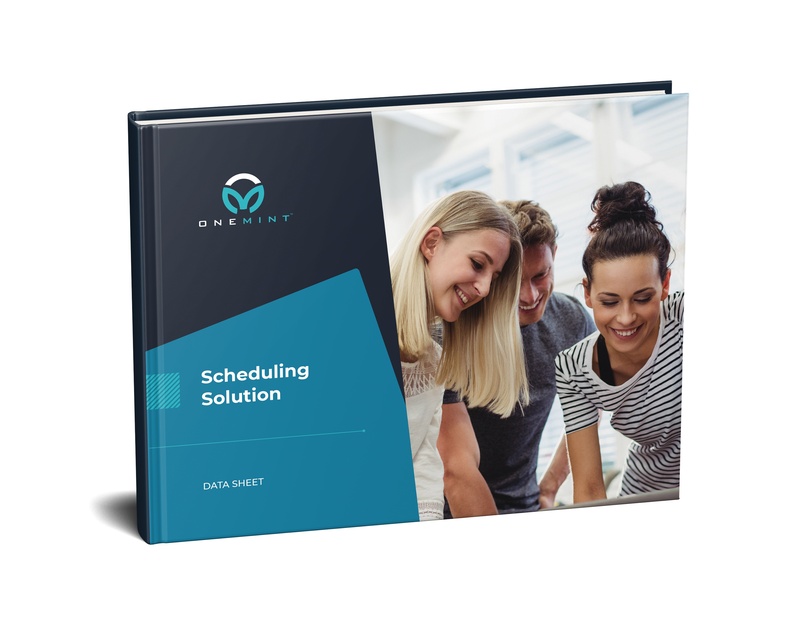 Check out our scheduling solution features that can save you! 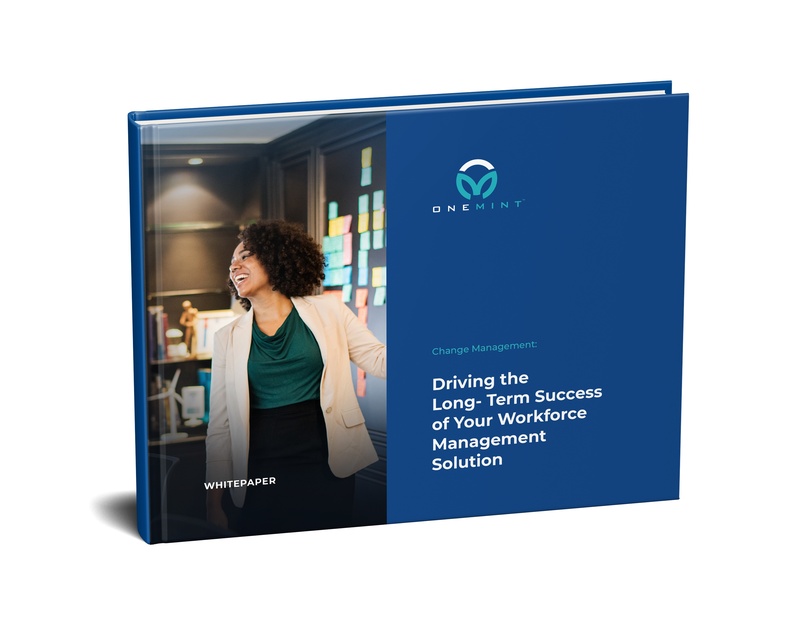 Are you still trying to manage compensation planning across business units and cost centers using cumbersome spreadsheets and manual approval processes? Why? 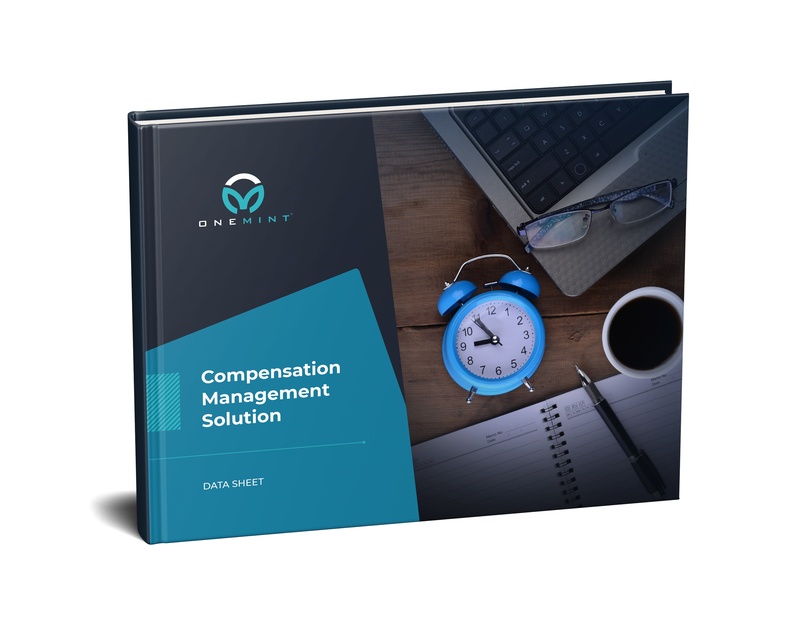 Check out our datasheet on how an our compensation management features can reduce administrative burdens and improve corporate governance. 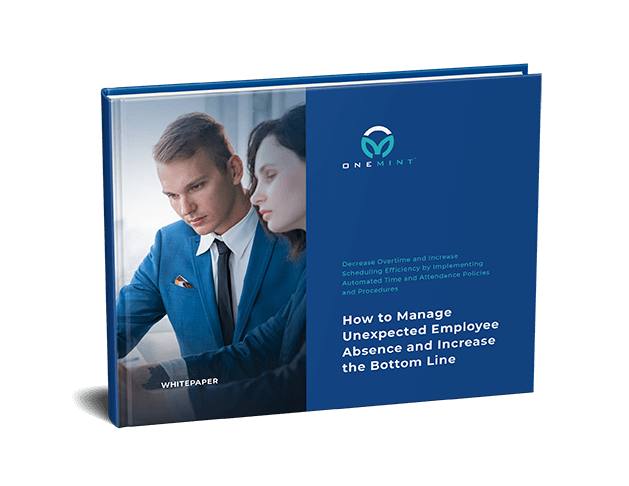 Learn how ONEMINT gives you the tools to effectively manage regular- and variable-hour employees’ benefit compliance, along with applicable reporting and a simple year-end process. 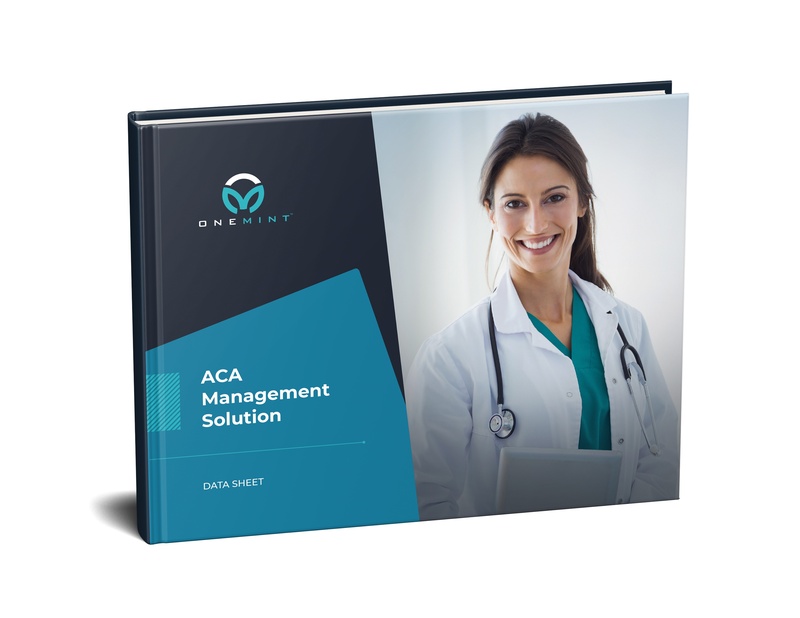 It’s ACA compliance made easy! When was the last time your open enrollment went off without a hitch? 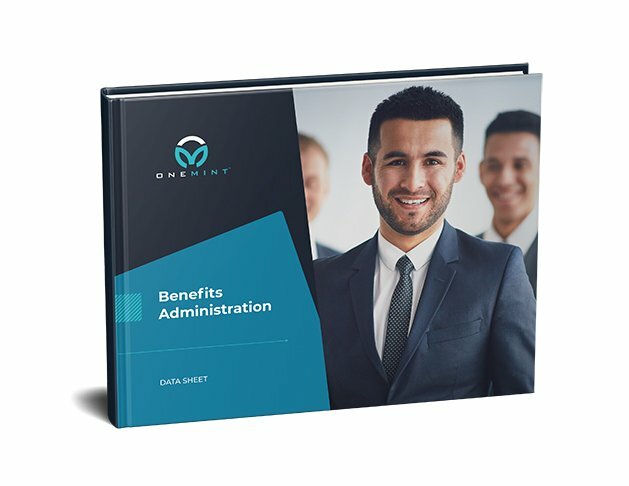 Check out how our Benefits Administration module and streamline open enrollment features can take the headache out of an important part of your employee experience. 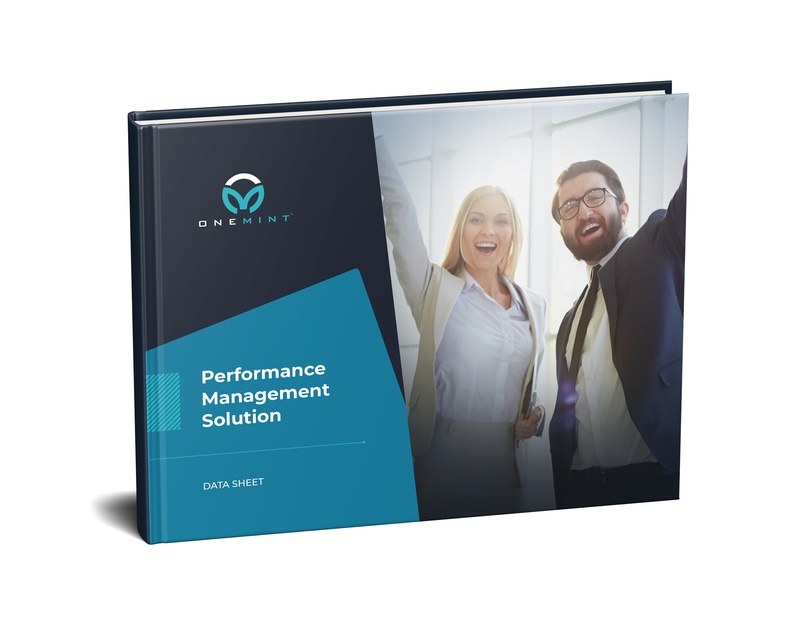 Did you know you can align your entire organization for success with performance management? 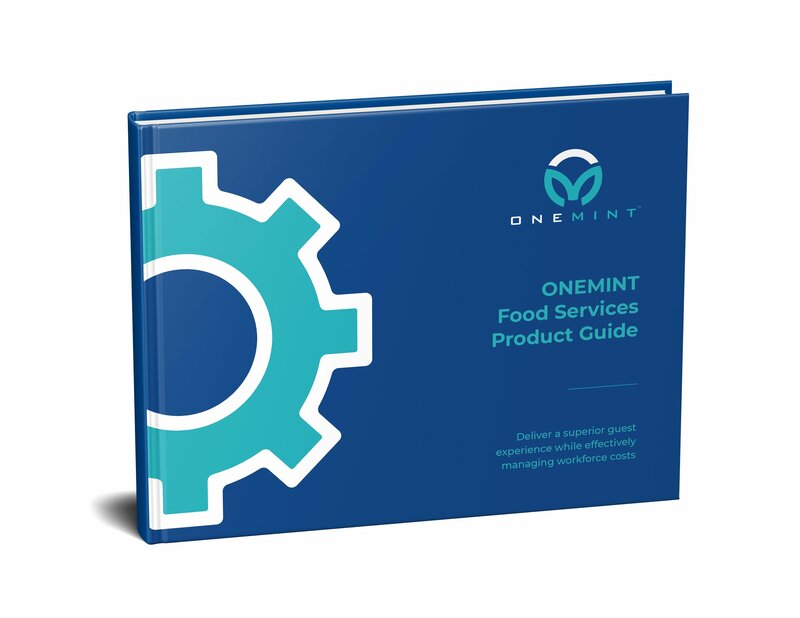 Check out our datasheet on how ONEMINT can organize, track, and streamline your performance review process. 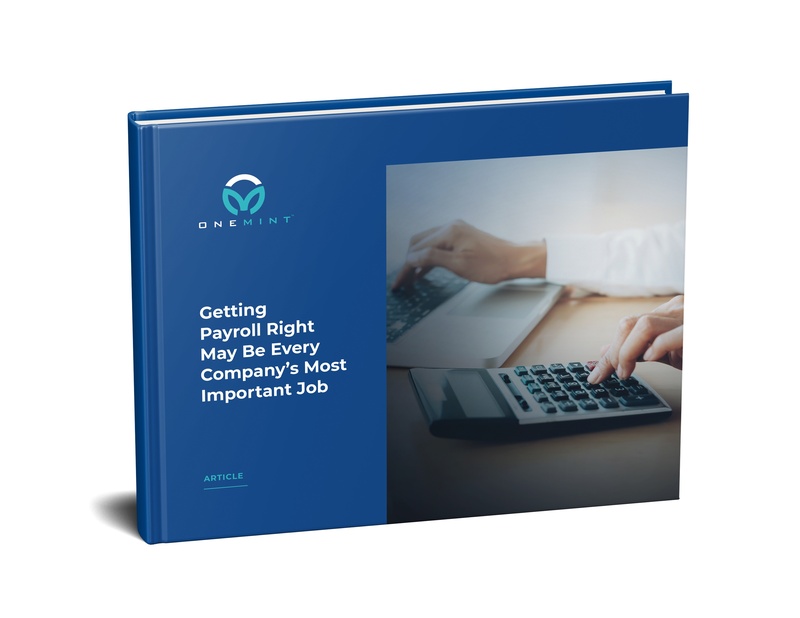 Are you spending a lot of time on your payroll processing? Is it consuming your life? 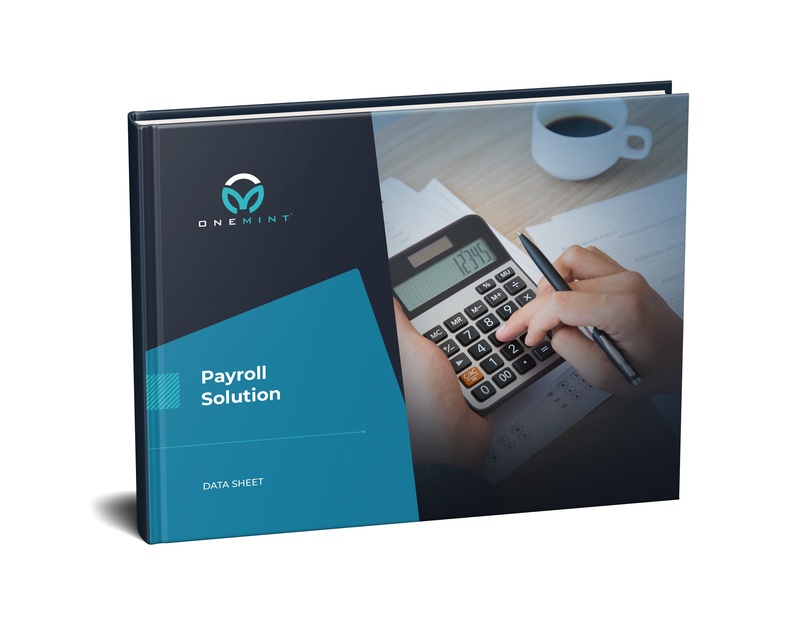 Check out this datasheet on how automated payroll software can save you time, money and your sanity! 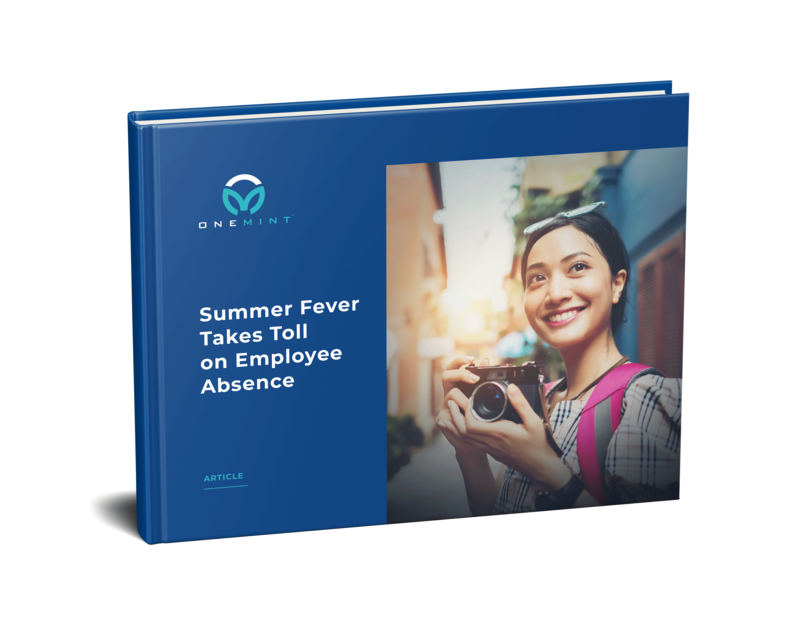 Managing employee leave of absence requirements and intermittent leave can require a bit of admin and can have an impact on daily operations. Or even more significantly, affect your bottom line. 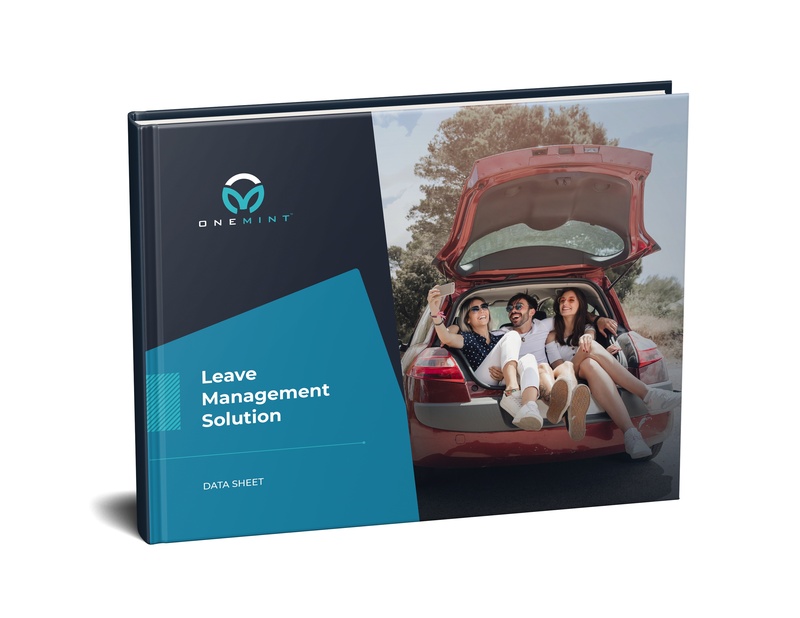 See how leave management automation can save you on additional paperwork and payout on noncompliance. We’ve integrated Work Opportunity Tax Credit (WOTC) services into our suite of human capital management (HCM) tools by partnering with Tax Credit Co.
Understanding your employee’s perspective helps drive business innovation by using workforce data from across your organization to make more informed business decisions, based on metrics you define. 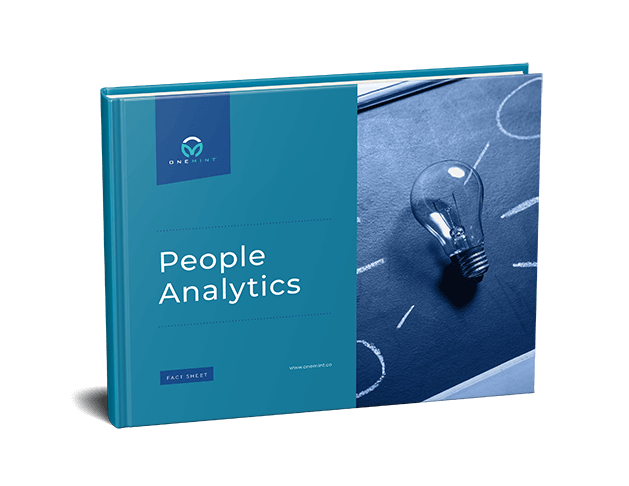 Our People Analytics features enable organizations to visualize key workforce insights. Are inaccurate accrual balances affecting your labor costs? 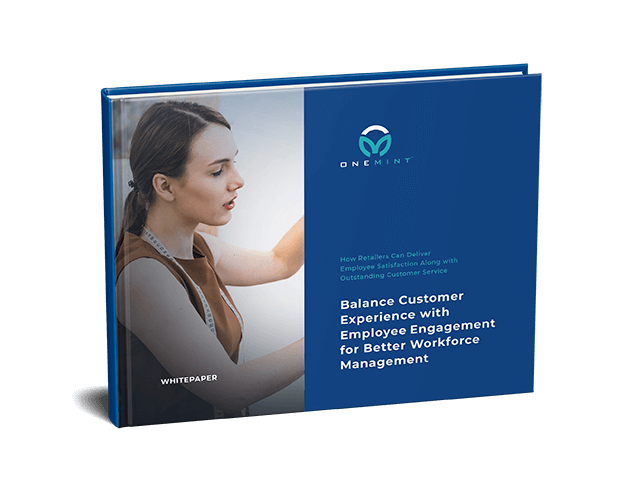 Are you spending a lot of time tracking balances and keeping employees informed? 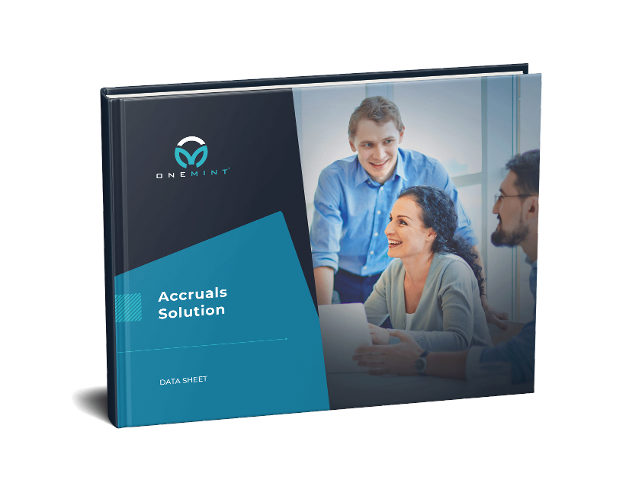 Check out how automated accrual tracking can speed up and simplify the accrual process saving you time and headaches. 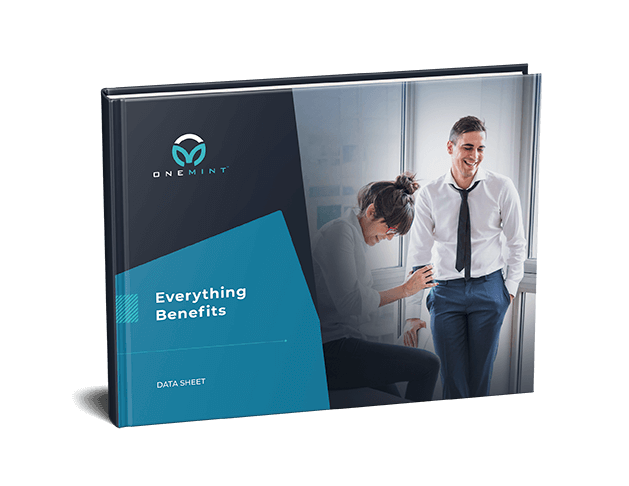 Did you know that about one-third of an employer’s cost for employee compensation is spent on benefits? Check out how a unified HCM system can help you streamline your benefits options and keep your costs low! Being able to integrate your workforce systems is a big plus, not to mention cost and time efficient. 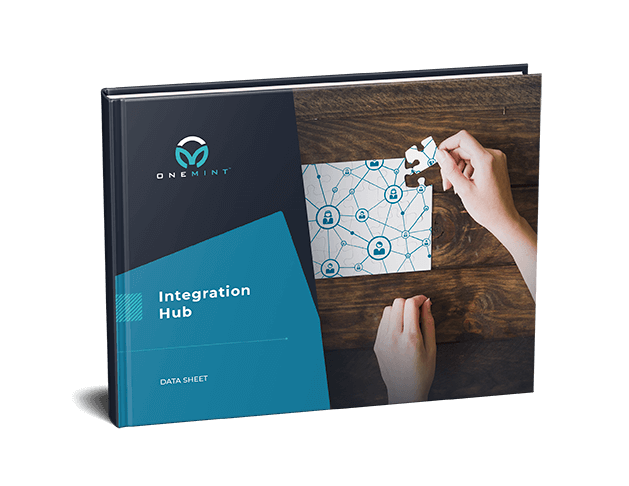 With our Integration Hub, a powerful range of integration and data management capabilities can be realized in a fraction of the time of legacy middleware technologies. 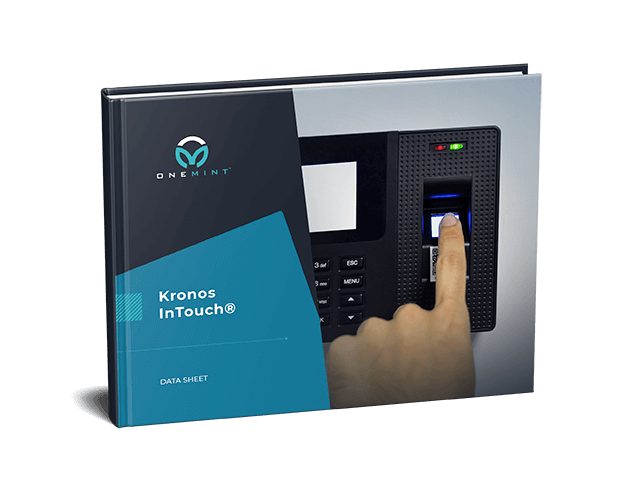 The intuitive, multi-purpose Kronos InTouch time clock is transforming the way organizations think about — and the way employees interact with — their human capital management system. Combine the power of our workforce management solution with mobile device technology, providing workers with alternative ways to access their work-related information on the devices they carry with them every moment of their day. With changes to ACA, organizations are required to report on specific information about the work employees perform. Our Payroll Based Journal assists in collecting and storing workforce performance data. Check out the other key benefits of implementing the Payroll Based Journal. 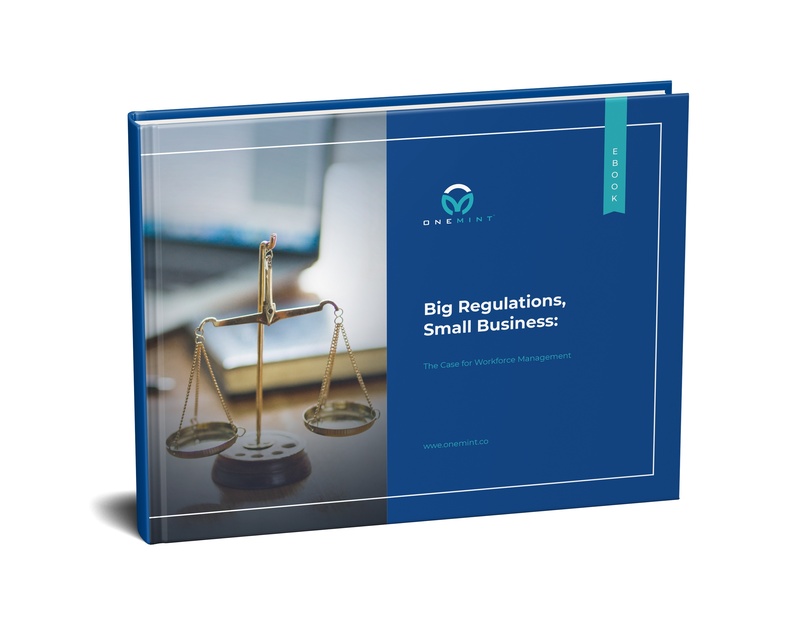 Failing to comply with government labor regulations and collective bargaining agreements can lead to serious financial consequences for your business. 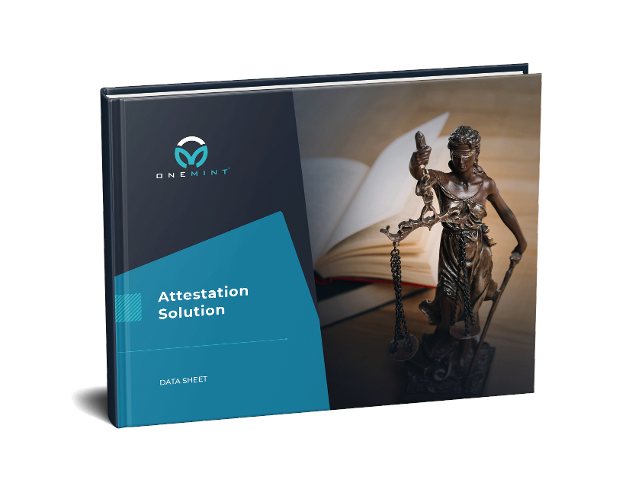 Check out how our attestation tool can assist in tracking employee rest and break periods to keep you in compliance! 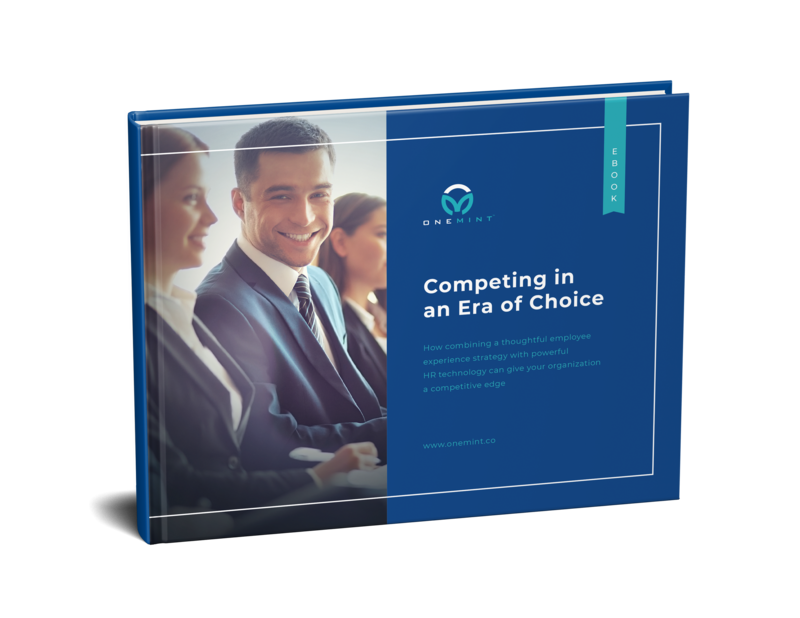 Looking to gain a competitive advantage and drive bottom-line results? 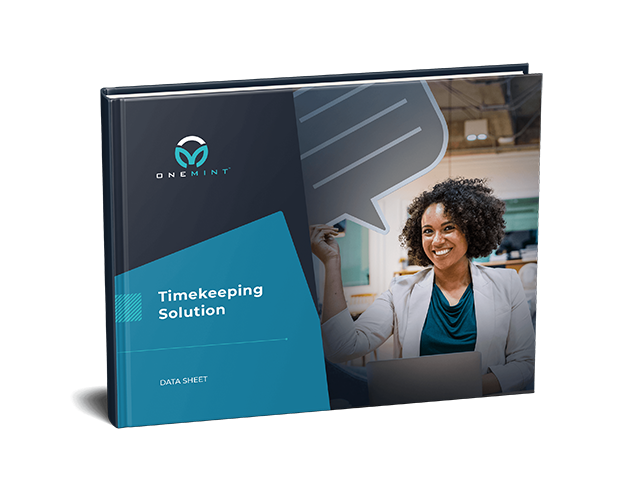 ONEMINT’s timekeeping module makes it easy to log time, track timekeeping patterns and reduce manual timekeeping errors. Download our free Timekeeping Datasheet here. Why is it time to evaluate your timekeeping system? It’s simple, really. 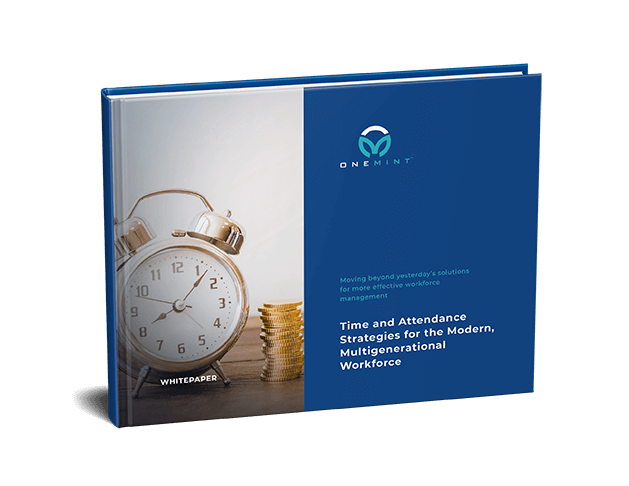 Your outdated time and attendance system is hurting your organization. 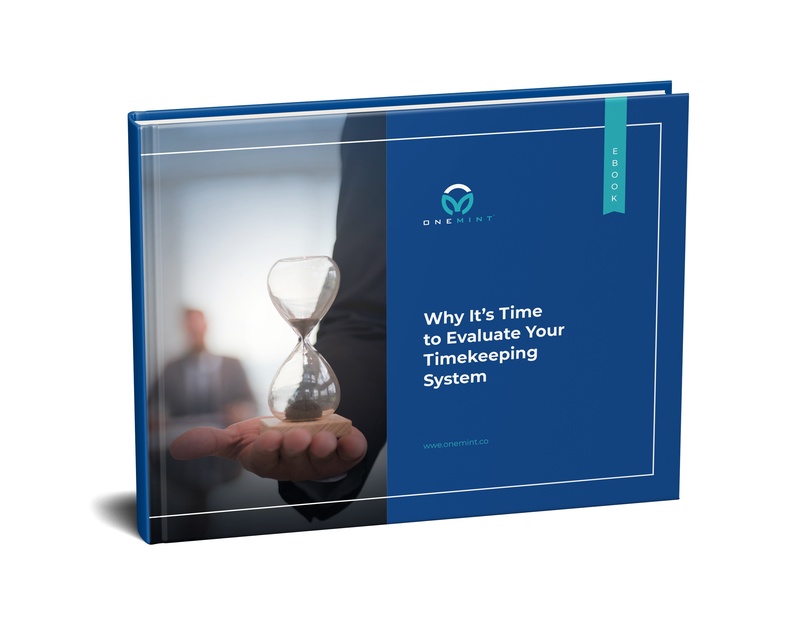 Check out our ebook to learn more about why and how evaluating your current time and attendance processes make your job easier. Given the complexities of workforce regulations, understanding and complying with a growing array of employment and labor laws are daunting tasks. 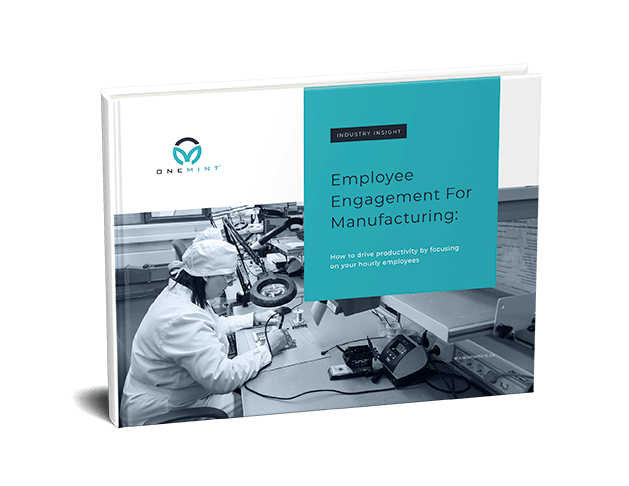 Learn how a workforce management presents a strong case for better tracking and compliance. 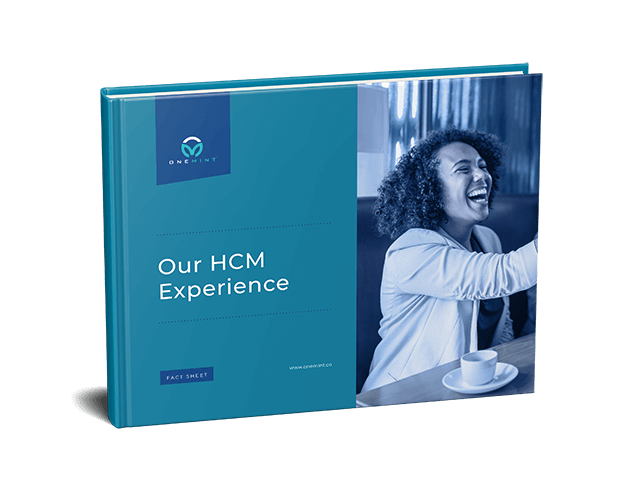 Your workforce strategy and your HCM should work hand-in-hand to ensure a positive employee experience. 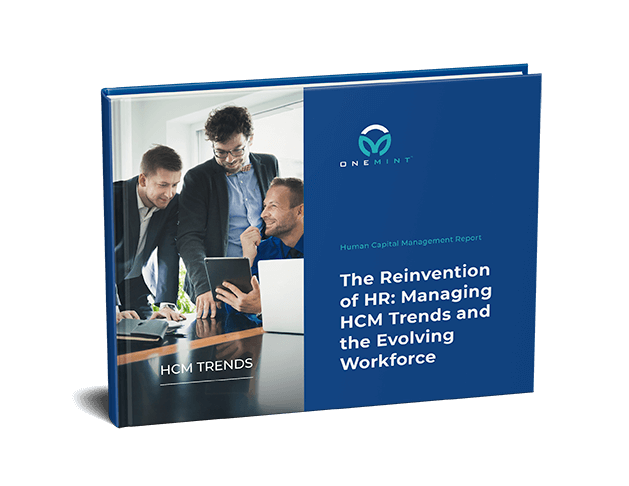 It's time to embrace an HCM strategy that focuses on your most strategic and important asset — your people — rather than solely on talent management processes. We get it. Everything is changing. But given the importance of talent in today’s rapidly evolving business environment your focus should be on your employees. 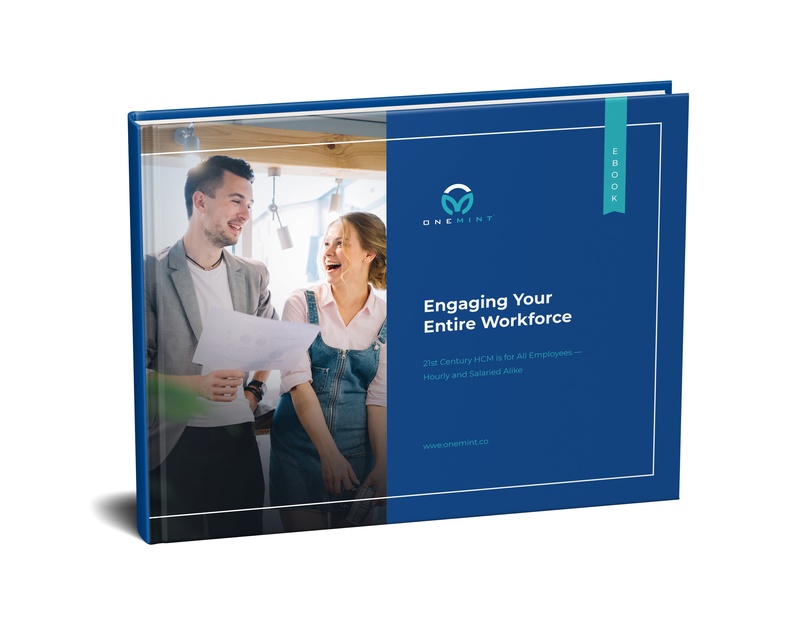 Learn how you can engage your entire workforce, hourly and salary and adapt to the changing time to acquire and retain talent. There’s no question about it. Nursing is tough and tiring work. 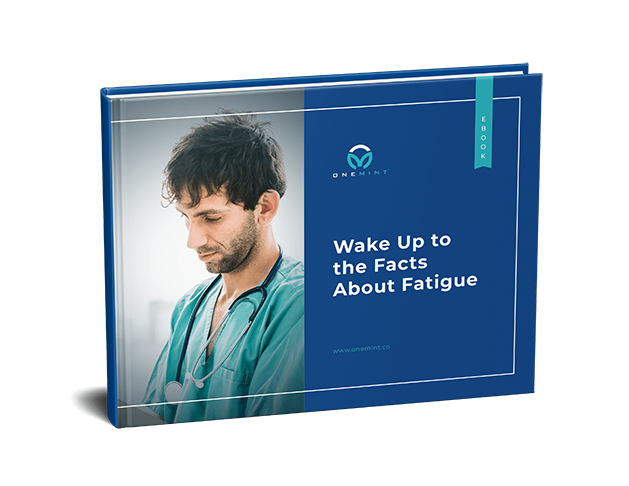 Dig into the facts about nurse fatigue, they’re pretty alarming. And they have far-reaching consequences for nurses, patients, and your organization. Don’t be faced with fees, fines, and penalties for not complying with tax agency requirements. Invest in technology that understands the complexities of tax withholding and remitting. Alleviate the burden of managing to different regulations by using modern payroll technology. 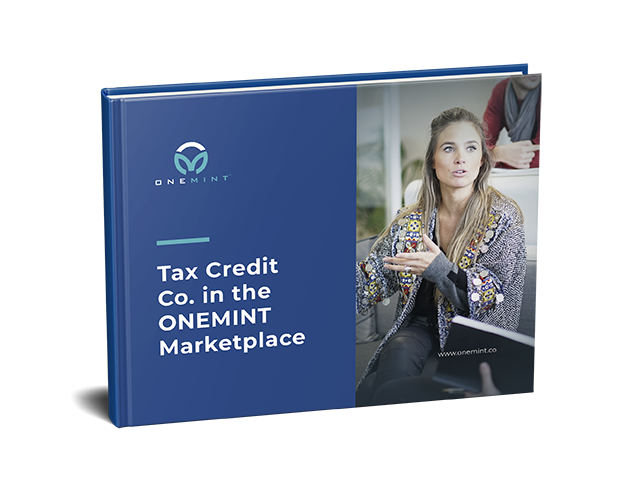 The ONEMINT Marketplace offers pre-integrated, best-in-class solutions that extend the features and functionality of your human capital management (HCM) solution. Employers are strugglings to attract, retain, and engage talent with the skills sets required to meet their strategic objectives. 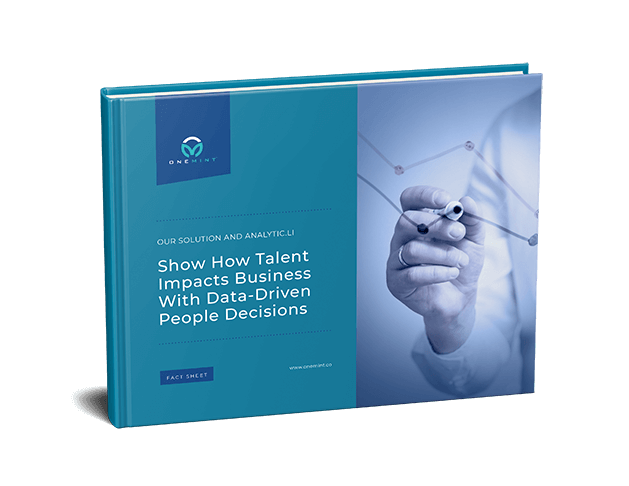 This ebook explores how organizations can use their HR systems and technologies to meet their “people” goals. Do you and your organization want to save thousands per year? Our WorkforceONE HCM eBook will show you how to do just that. Tax Credit Co. is the largest specialty tax incentive advisory and outsourcing firm. 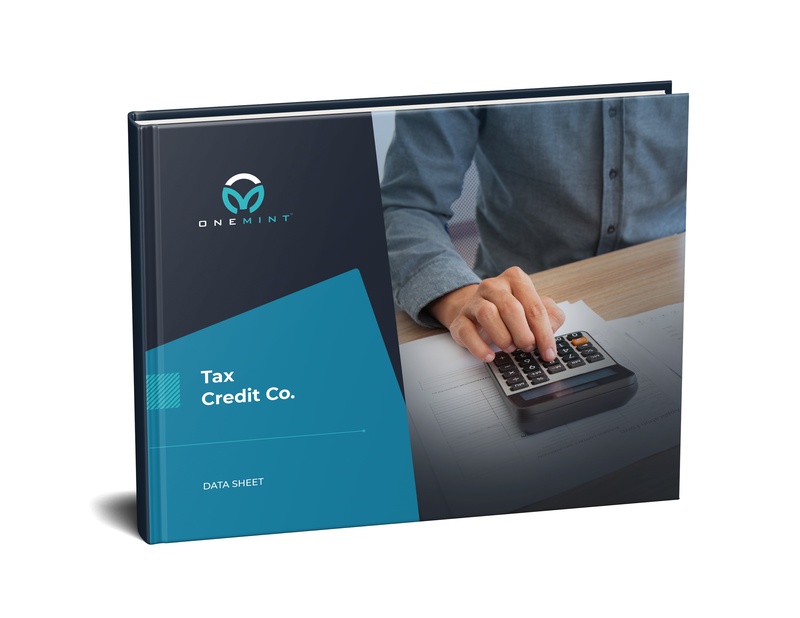 Their app can be integrated with our Human Capital Management system to allow you and your employees to take advantage of tax credit services with easy self-service features. Who is Tax Credit Co? What is WOTC? How does it work? 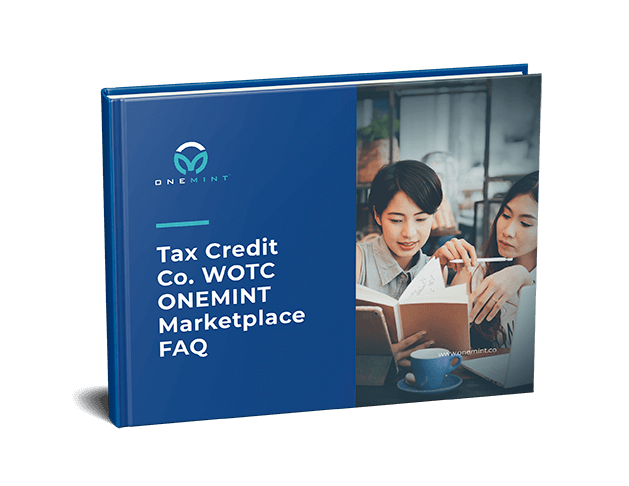 Let us answer all your Tax Credit Co. and Work Opportunity Tax Credits questions! 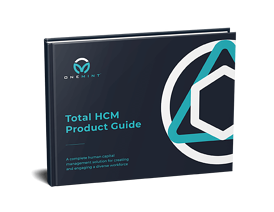 There are hundred of HCM systems available on the market, so why choose ONEMINT? Let us share how our unified system goes above and beyond and is the only database you need to manage your time, payroll and HR processes. How compliant are you? If all the complexities of state and federal regulations, it can be hard to keep on the straight and narrow. 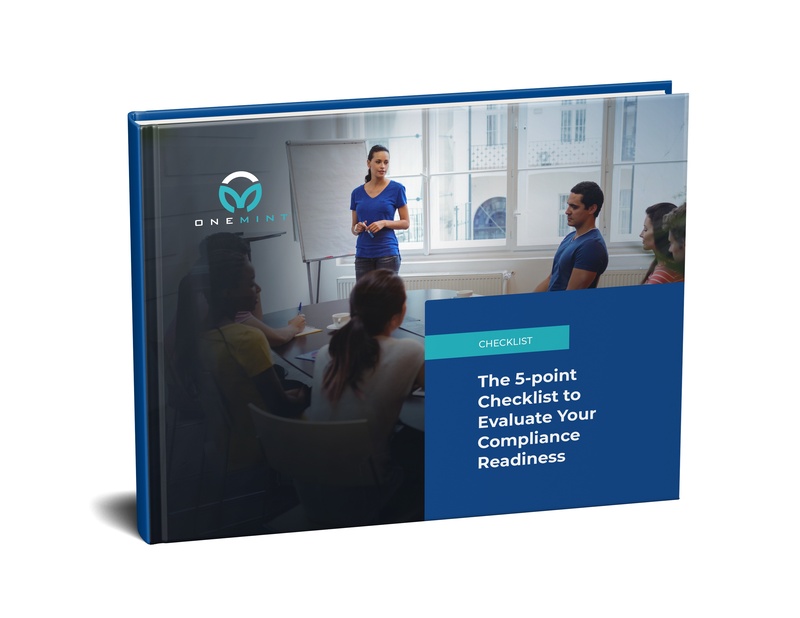 Ask yourself these Top 5 compliance questions to determine if your organization is ready and meets compliance requirements. Employee burnout is a corporate epidemic. Employees are crashing and it is costing you. Learn more about burnout, the signs, the effects, and ways you can address it. Getting paid is what defines work and getting it right is important- for compliance and for your employees. 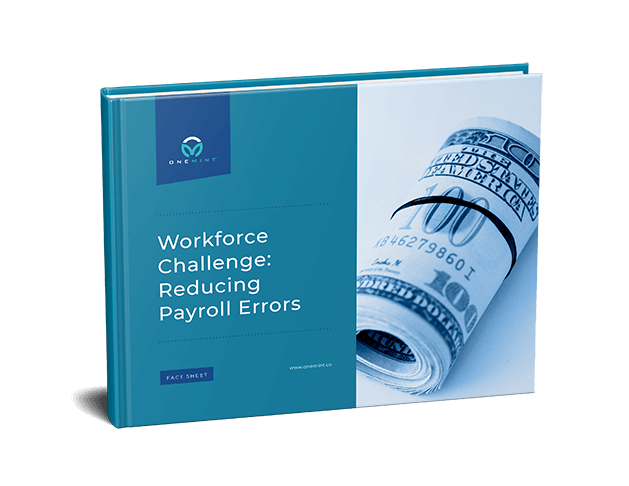 Learn more about how you can reduce payroll errors with an automated payroll solution. 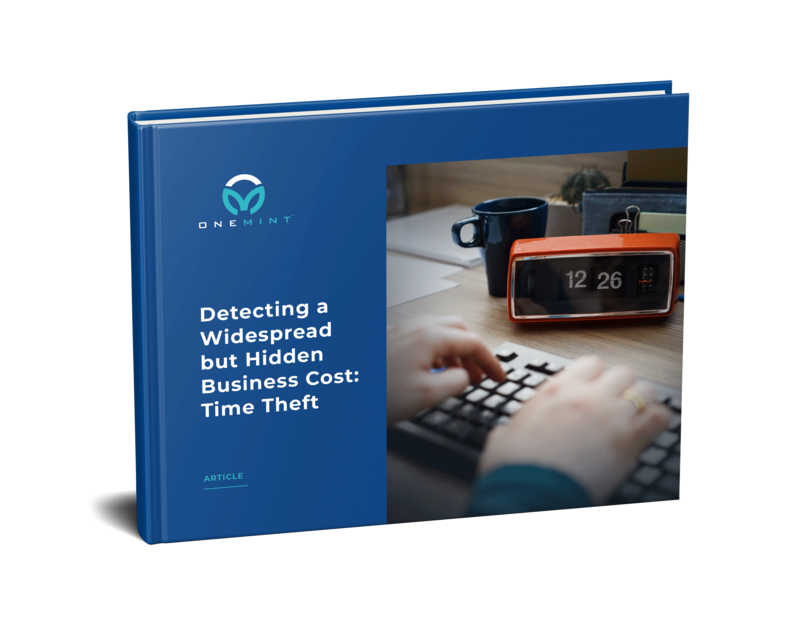 Whatever the causes and remedies, time theft is probably costing your company money. Learn the steps you can take to help curb time theft. 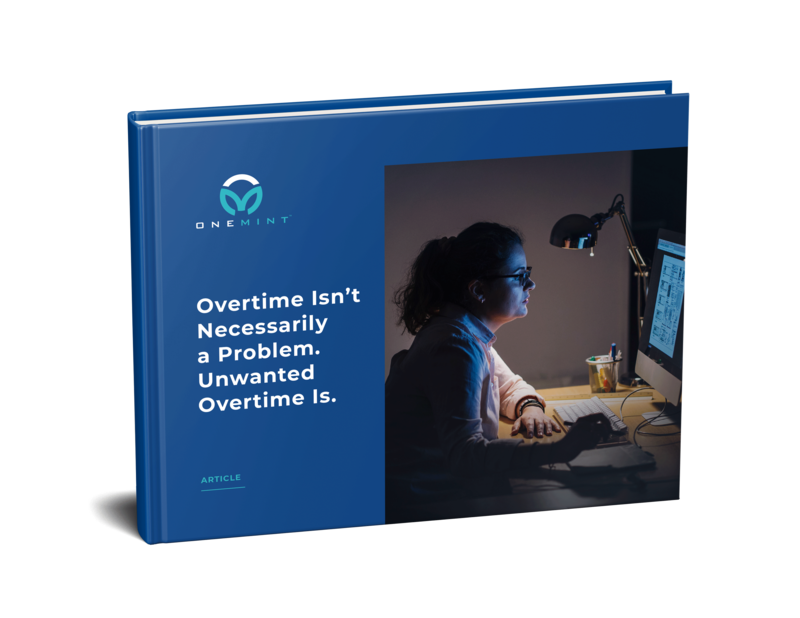 Check out how automated functionalities can help you eliminate unwanted overtime and forecast for future need. Your employees are missing- do they have summer fever? Unscheduled absences due to seasonal absence syndrome can have a negative effect on all employees in the workplace. Working in the healthcare industry often means long, chaotic hours and overworked staff. See how automating your payroll, timekeeping and HR processes in one unified system can elevate the chaos and save you time and money. We know how hard it is to collect time and attendance data. Check out these third party hardware options for collecting data and make your job easier! In the age of advanced technology, touchscreen time clocks are a no-brainer. Check out how this technology can help you collect time data to streamline scheduling and payroll and save you time and money. Your hard work is paying off. Customers recognize your brand and the great products and services you deliver, but at what cost is growth delivered? 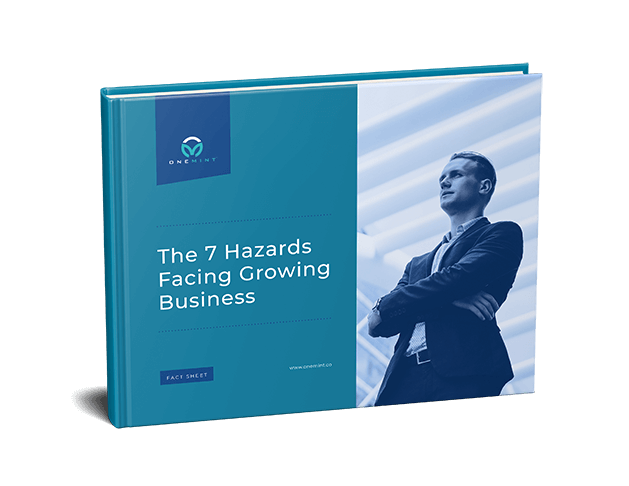 Is your business facing any of these 7 hazards? How would a dashboard of key performance indicators related to workforce management, talent and recruiting, payroll and benefits affect your business? Check out of the many benefits of accessing Analytic.li, a SaaS analytics platform integrated in your HCM. 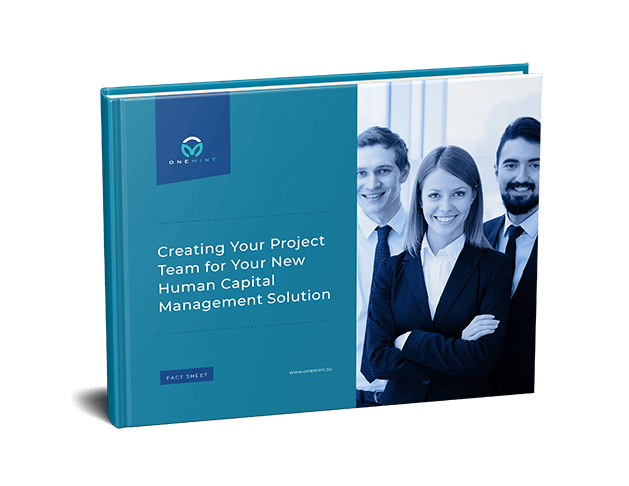 Now that you’ve chosen your new Human Capital Management solution, it’s time to implement. And it’s time to choose your internal implementation team. Check out how and who you should set in place to ensure the success of your new system. 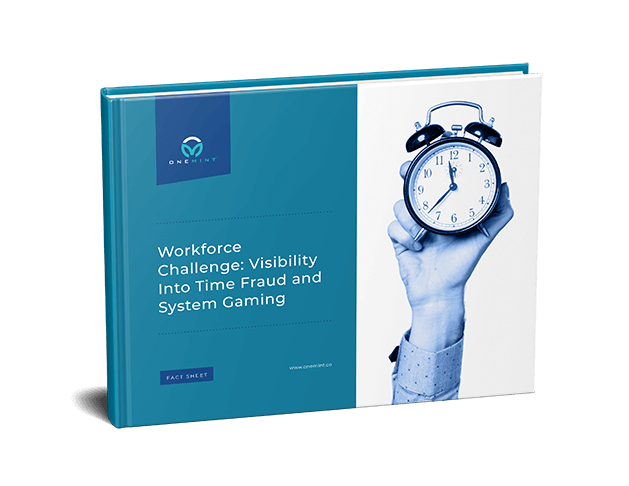 You have access to mountains of employee data, but can you see the stories it’s trying to tell you about time fraud and employees gaming the pay system? 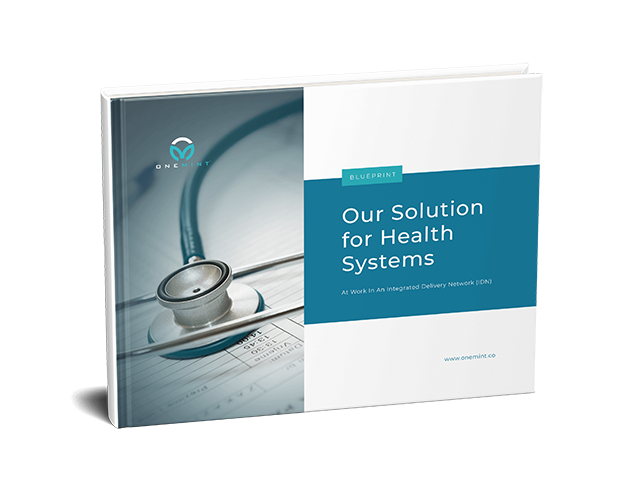 Check out how our system can give you visibility into these practices that are costing you money every day. The ONEMINT HCMToGo mobile application provides managers and employees with immediate access to their human capital management (HCM) solution, wherever they may be. Most platforms nowadays integrate with Google Suite to offer cloud-based services. Your HCM should be no different. Check out our HCM and G-Suite integration, offering you more streamline processing and services. It’s a bad habit, and it’s costing U.S. businesses big bucks: When a company isn’t exactly sure of the total hours an employee has worked, the typical response is to overcompensate, overstaff, and overpay. Learn about how to reduce those hours and take back control of your time. We all know manual payroll processing can open your business up to a heap of errors. From the time it takes to correct those errors, to the cost of that correction, you could be flushing money down the drain. Check out how to reduce manual payroll processing errors with payroll automation. 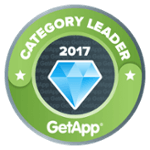 Wouldn’t it be great if there was a software that helped identify and develop top talent, build and maintain talent pools, and engage and retain employees? Well, there is! 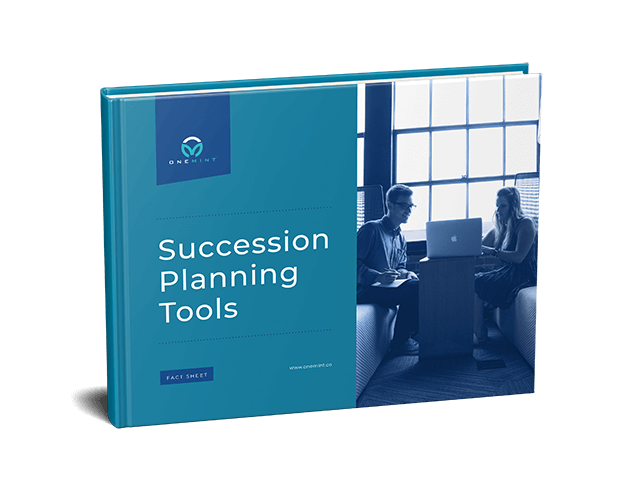 Check out the succession plan tools in our HCM and starting planning for the future of your employees and your company. We know there are hundred of options when it comes to Human Capital Management technologies. Check out these top 5 reason to choose ONEMINT and see how implementing our unified HCM platform can change the way you work! Who has time to sort through lines of data when critical decisions need to be made? Check out how our new user interface provides you with analytics tools that put easy to read data at your fingertips. Consumer technology delivers simplicity and convenience to make life easier. Shouldn’t you expect the same from the solutions you use at work? 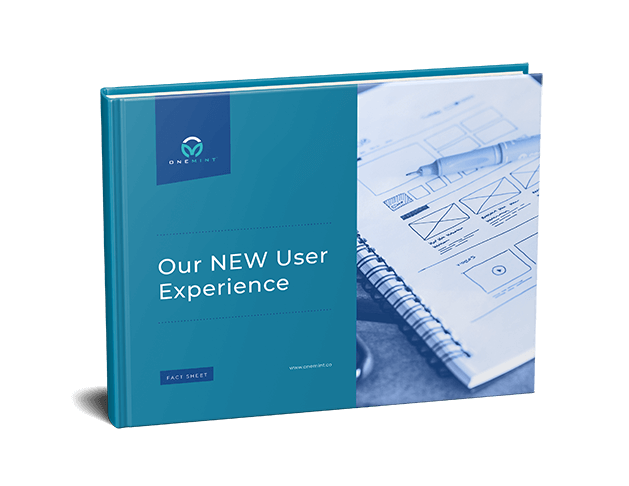 Check out our new HCM experience and leave old technologies behind! 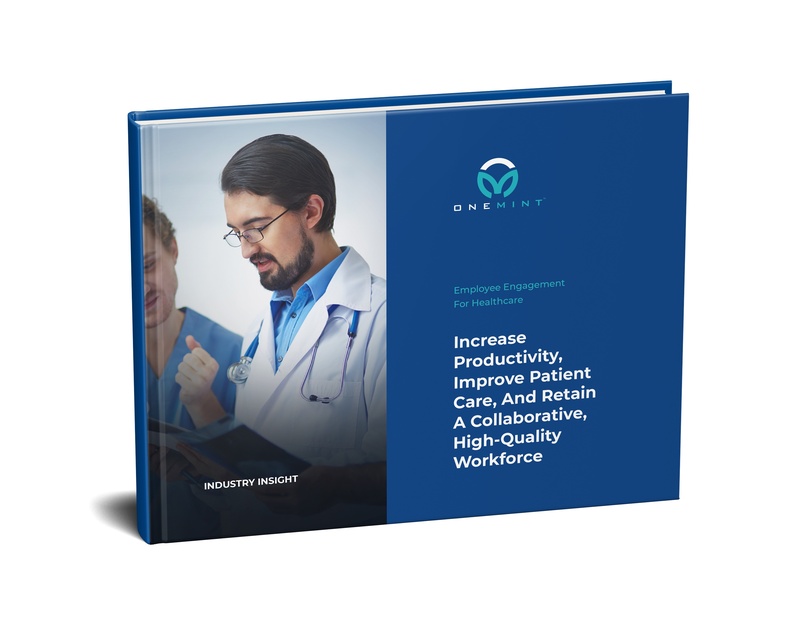 Managing schedules and preventing employee burnout in the healthcare industry can be an overwhelming undertaking. Check out how utilizing a unified HCM system can help you forecast patient volume, understand patient acuity and assign staff with the right skills with a balanced workload! 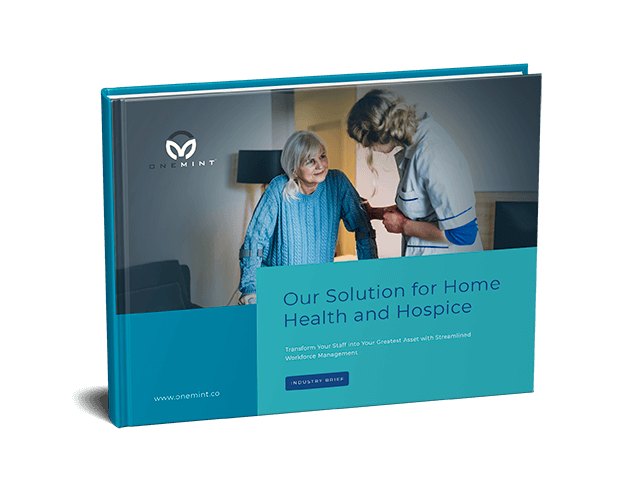 As value-based healthcare demands greater focus on quality and outcomes, home health and hospice providers will play a pivotal role. 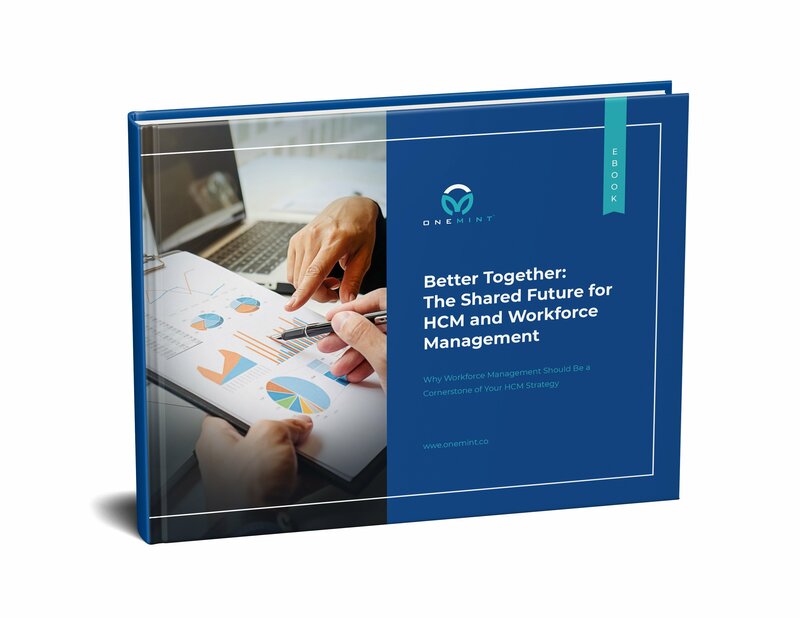 Check out how our HCM can help you deliver on those outcomes and provide you and your staff a streamline system for scheduling, timekeeping, compliance and more. 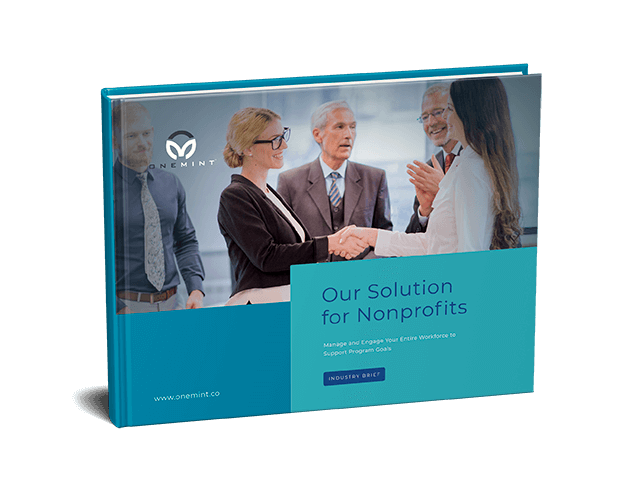 Your nonprofit faces many of the same challenges, including controlling costs, increasing efficiencies, and managing compliance, which confront organizations in the private sector. Check out the many benefits our HCM solution provides to non-profits, helping push your employees and your agenda. 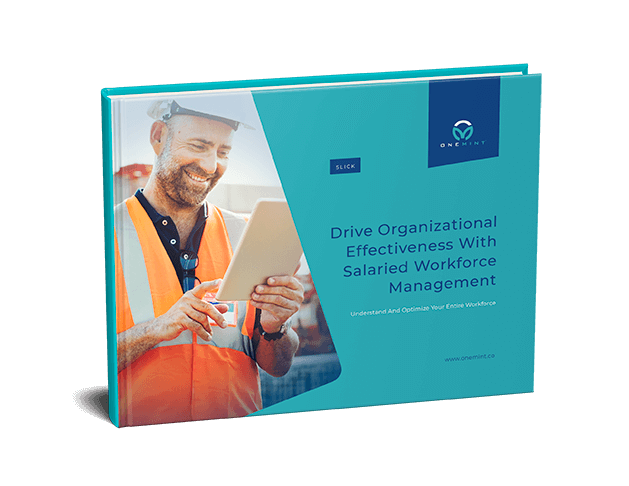 Workforce management solutions can help organizations control labor costs, minimize compliance risks, and maximize the productivity of their entire workforce — both salaried and hourly.